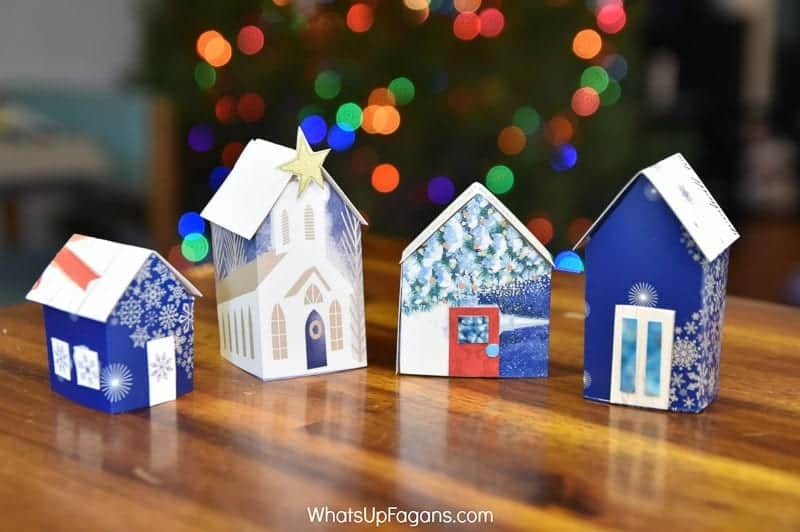 There’s something nostalgic and comforting about making Christmas crafts over the holiday season, isn’t there? 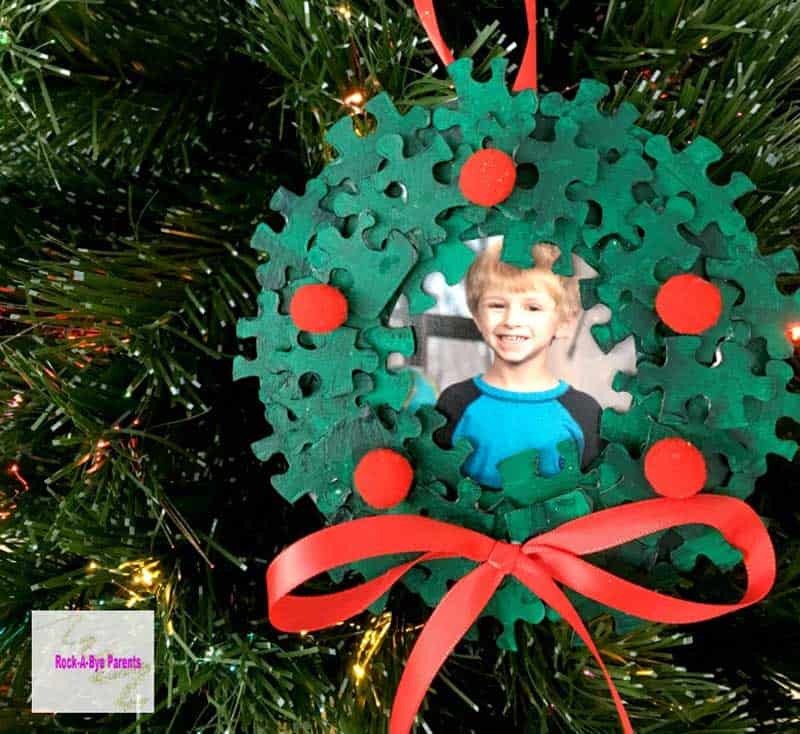 I’m guessing you may have a favorite Christmas craft you’ve created over the years. 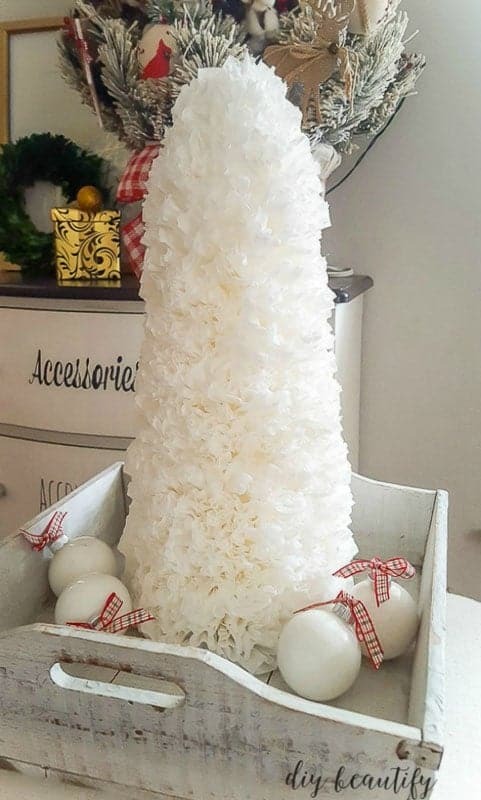 Is it something hung on the tree? 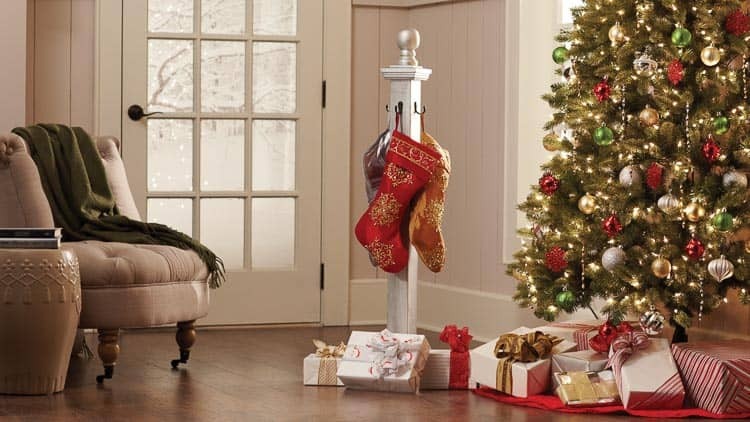 A special item that gets set on the mantle each year, or hung on the door? 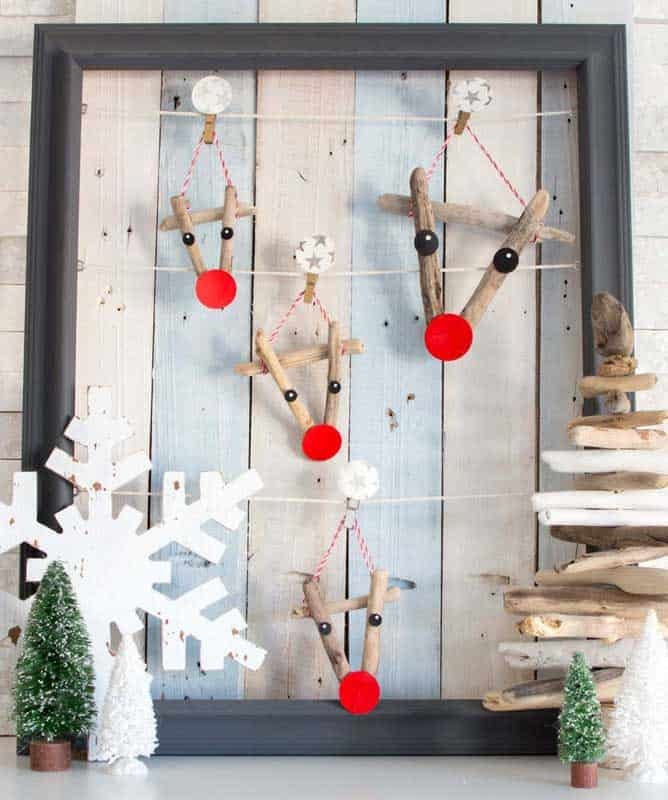 If you’re looking for some Christmas crafting inspiration this year, look no further. 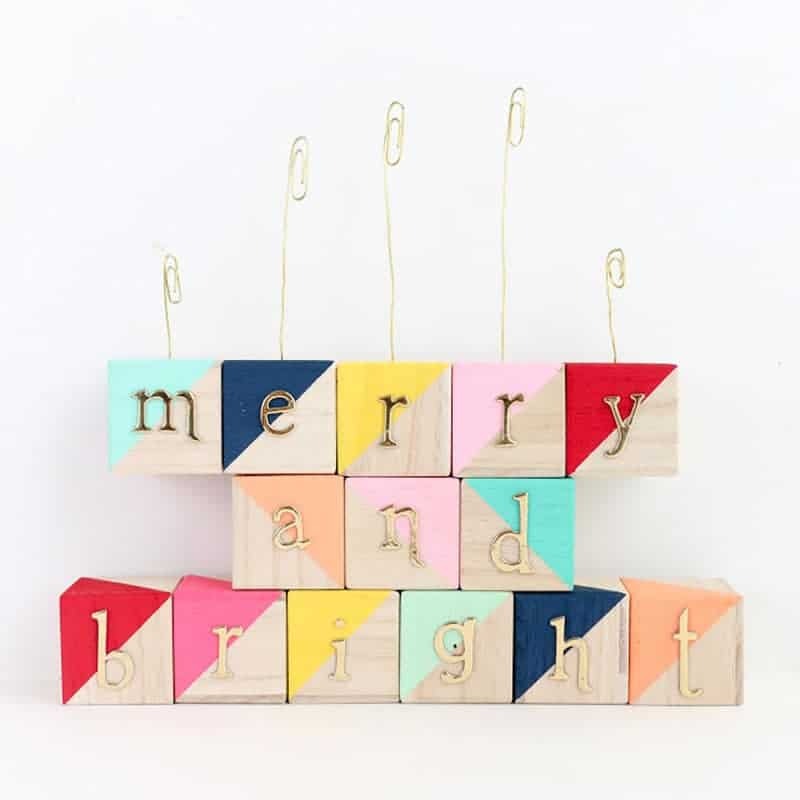 I’ve asked my talented DIY and crafty blog friends to share their FAVORITE easy Christmas crafts with you here today, and BOY, did they deliver! 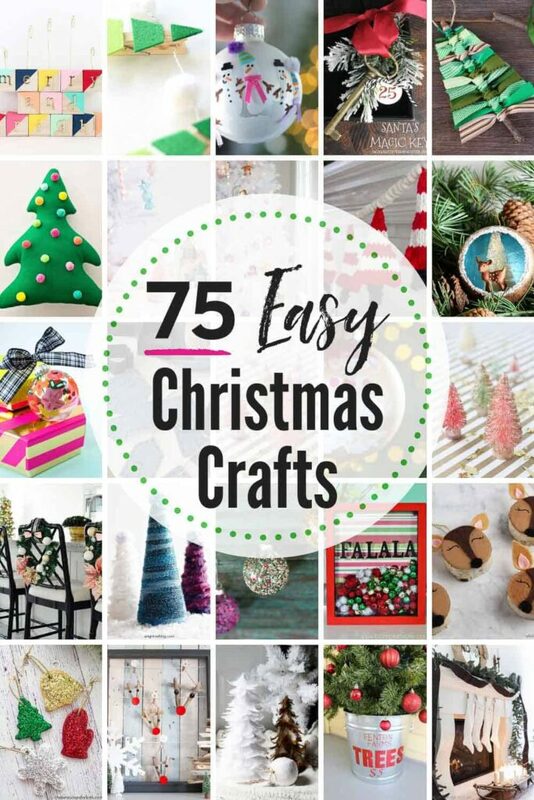 Below are 75 easy Christmas crafts that are absolutely wonderful. Many I’ve included have a quote from the maker explaining why the craft is their fave. Choose a couple to tackle this season sitting by the fire, or curled up on the couch while watching the Hallmark channel. Enjoy! 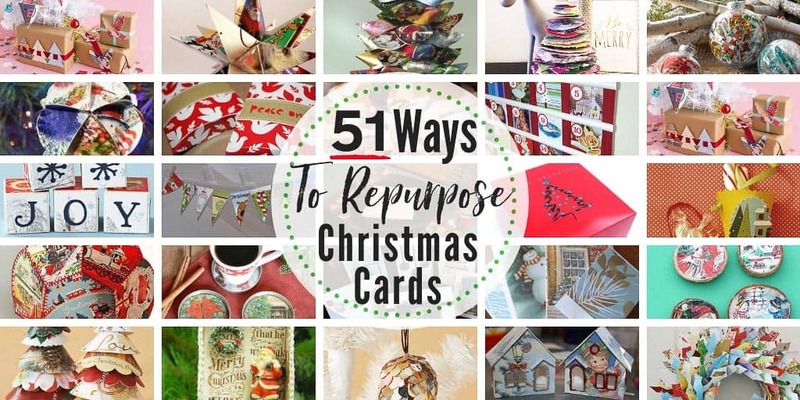 Kara says, “although I never seem to have it together enough the make my own,” collecting Christmas cards is one of her favorite things about the holiday season. 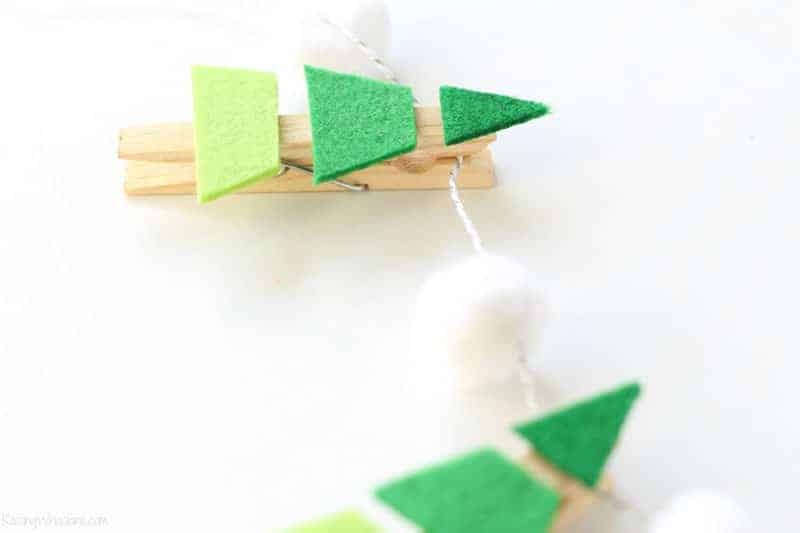 So she created this simple color block DIY as a colorful place to store them. 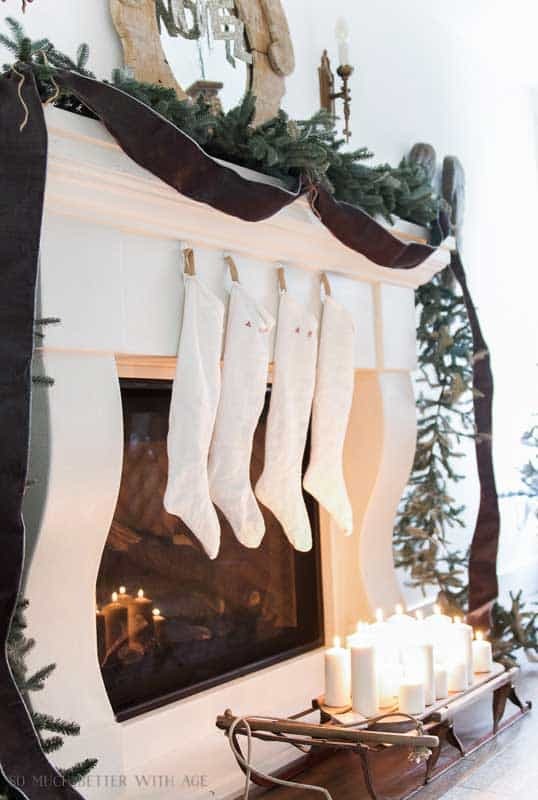 Although this Christmas craft takes a bit of skill, the simple design makes it a bit easier than many other DIY stockings we found. 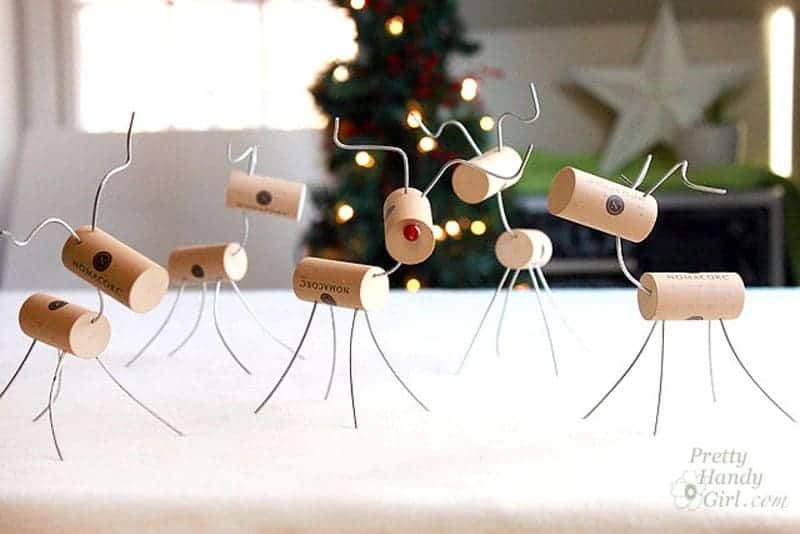 These may be my favorite Christmas craft ever. 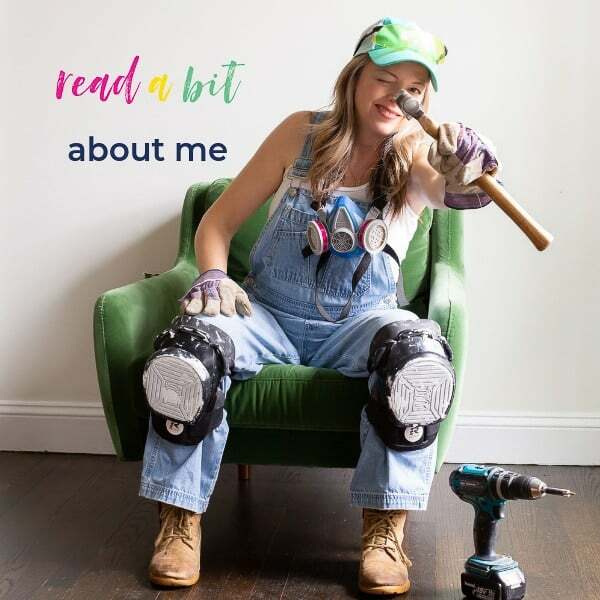 I try to do a different one each year with the kids, and I’ve shared them all in the linked post so you can use them as templates to create your own with your kids. We’ve made handprint reindeer, Santas, angels, Christmas trees, snowmen, and so on. They aren’t hard, and the kids LOVE getting their hands messy with paint ❤️🎨! 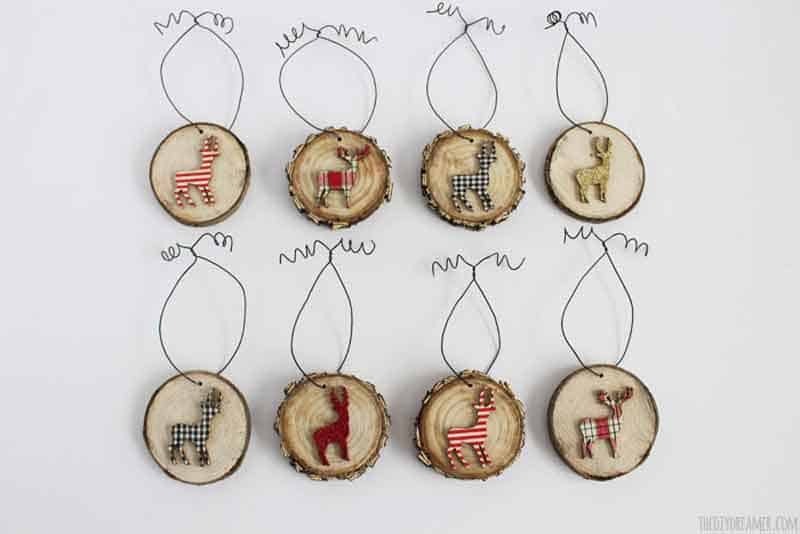 When asked for her favorite simple Christmas craft, Christine pointed to these fun wood slice ornaments. 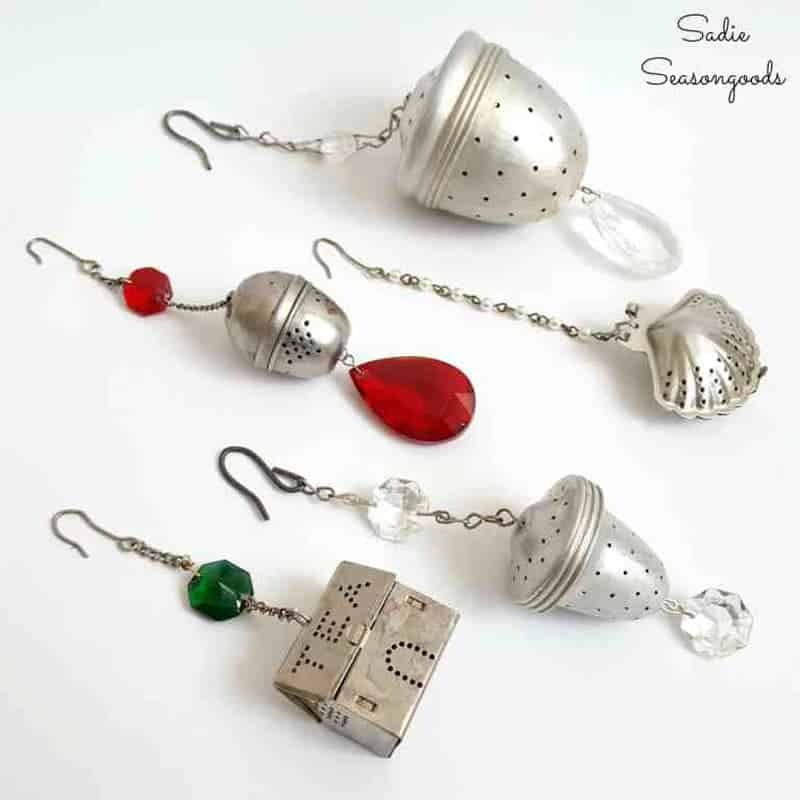 Sarah is a master of upcycling. 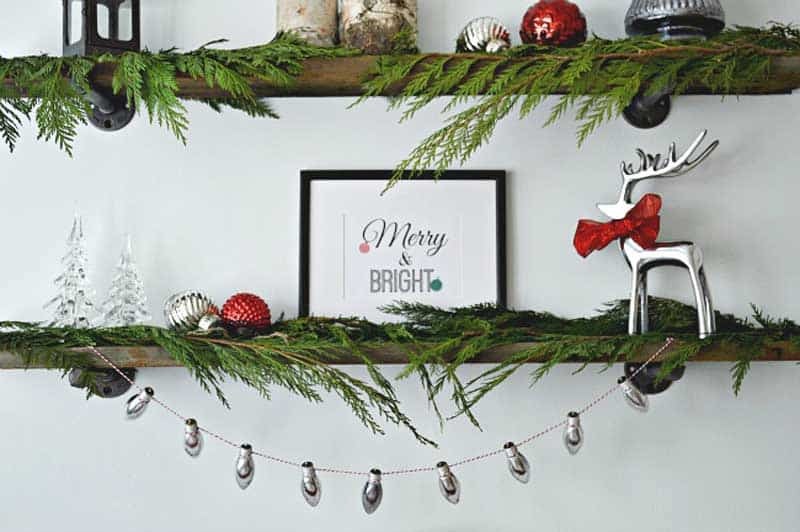 So it’s no surprise a repurposed Christmas craft topped her favorite list. 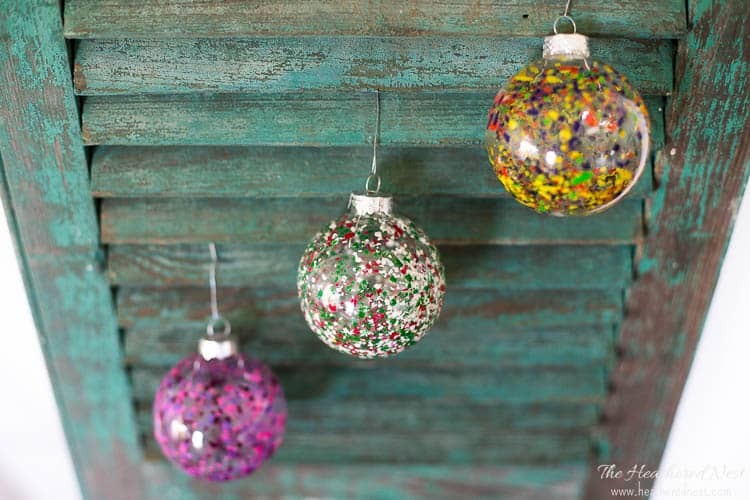 Being a lover of all things colorful, this Christmas craft is one of my favorites! 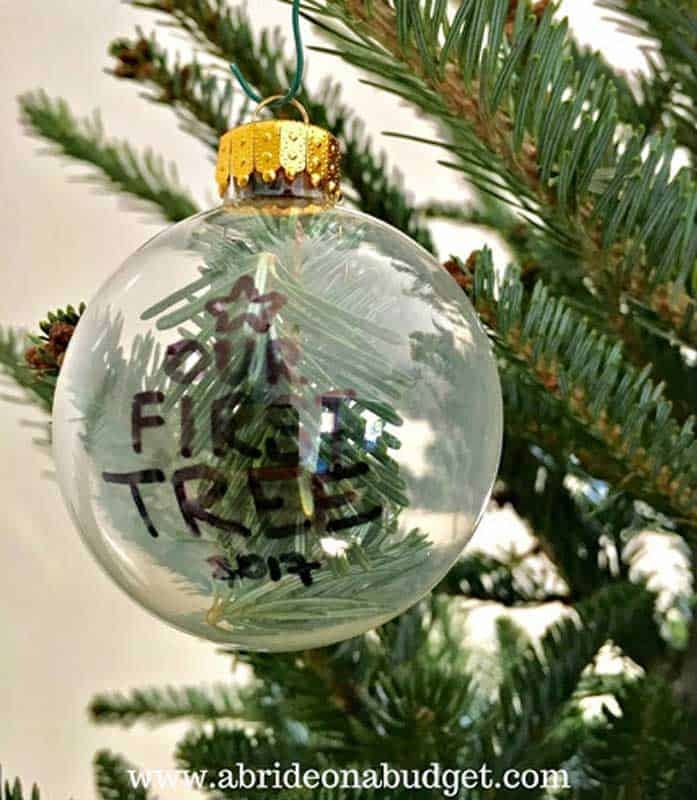 It doesn’t take long to make, and the kids love picking their crayon colors to personalize their ornaments. 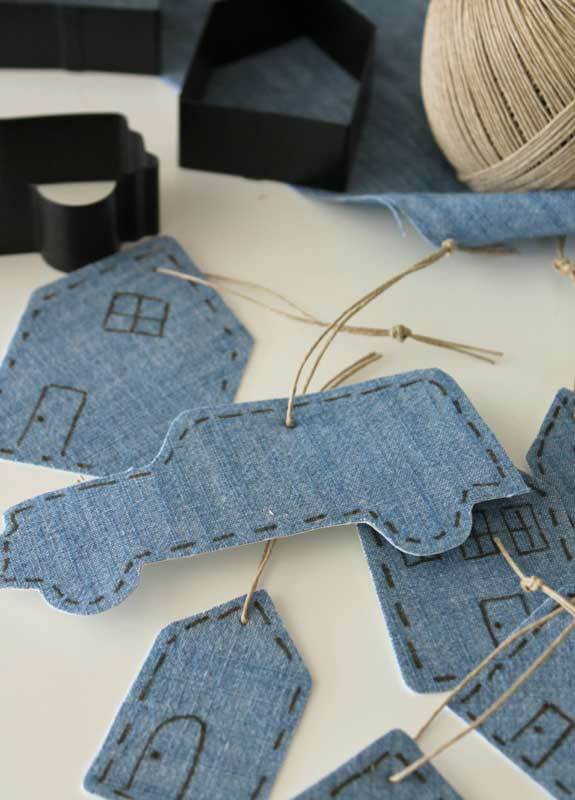 Got some scraps of a favorite fabric hanging around the house? 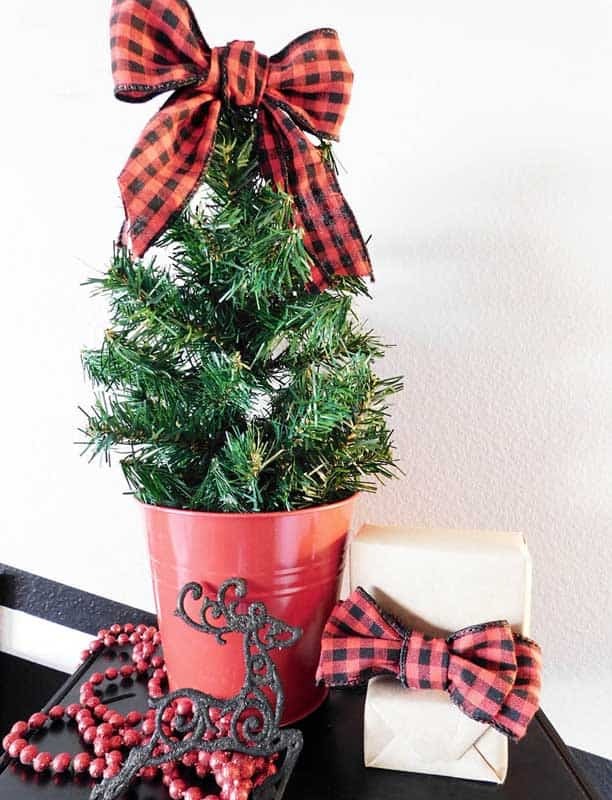 Try this easy Christmas craft that Julie made. 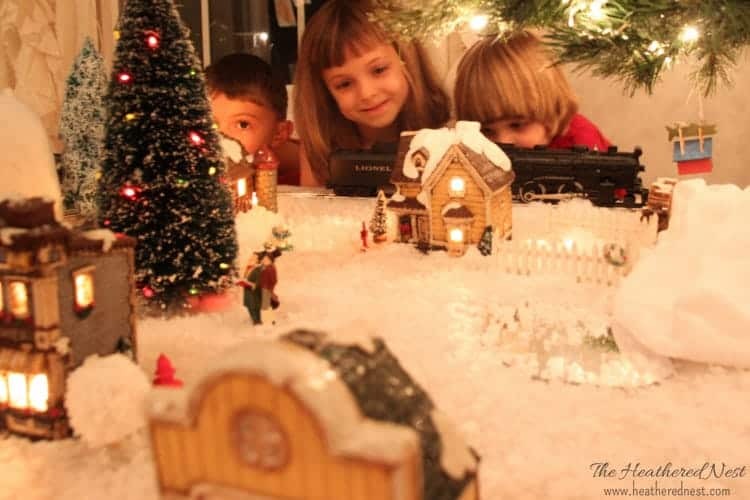 As a child, one of my fondest holiday memories was painting houses for our family Christmas village. Each year, we’d paint at least one new piece. And now that I’m all grown up, I have a full village that we put under the tree with our train every Christmas. I’ve started doing this with my own children. 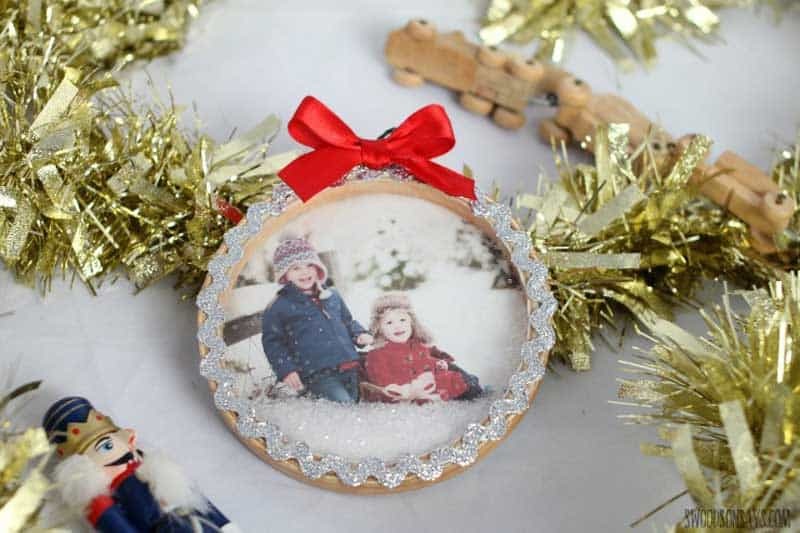 It’s a great family activity, and you end up creating a family heirloom, one little paint session at a time. I agree! Totally retro, and chic! 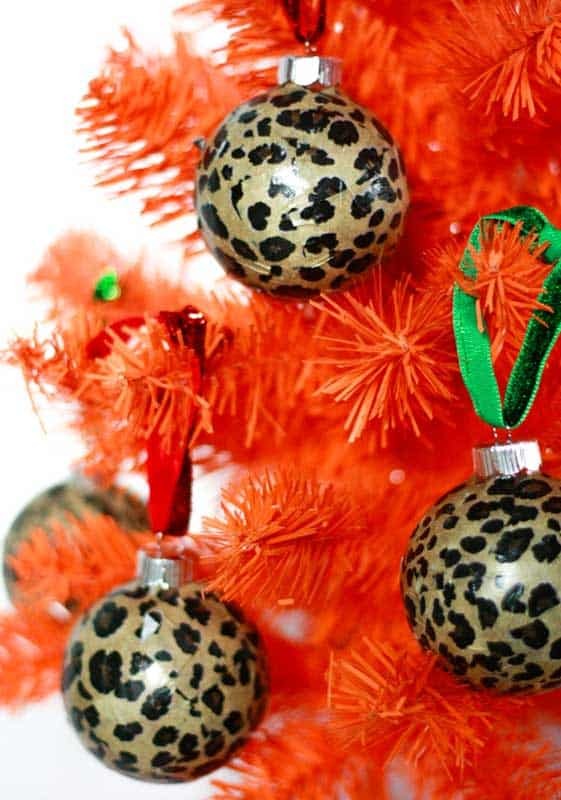 I’d love a tree full of these, wouldn’t you? Ariel is a color and pattern loving gal. So it’s no surprise to me that her fave Christmas craft is full of both! 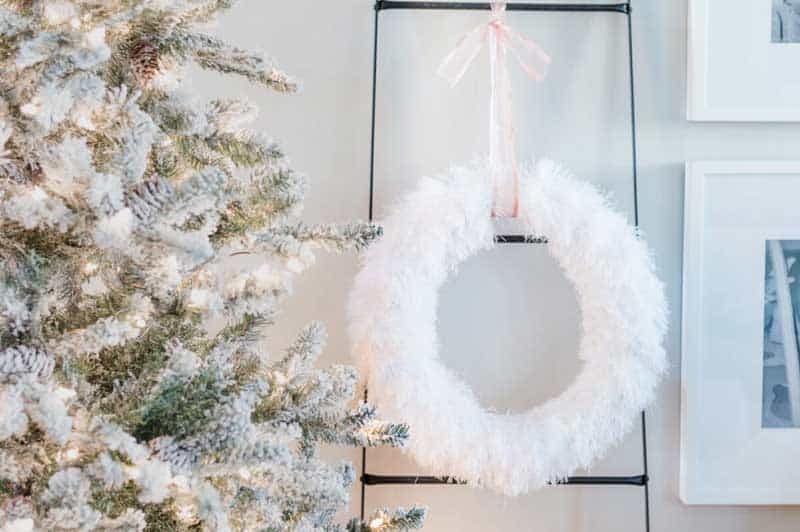 Flocked and white trees are gaining in popularity, and why not? 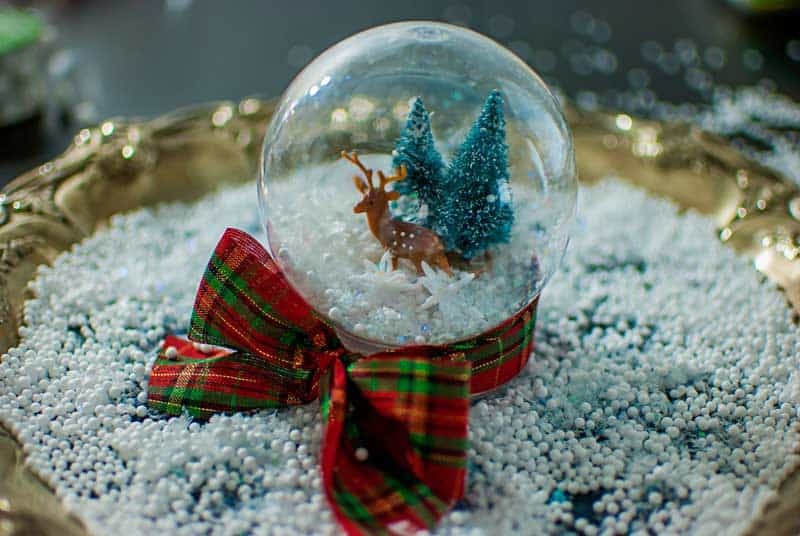 They bring the magic of snow inside your home without the cold, damp and messy parts! 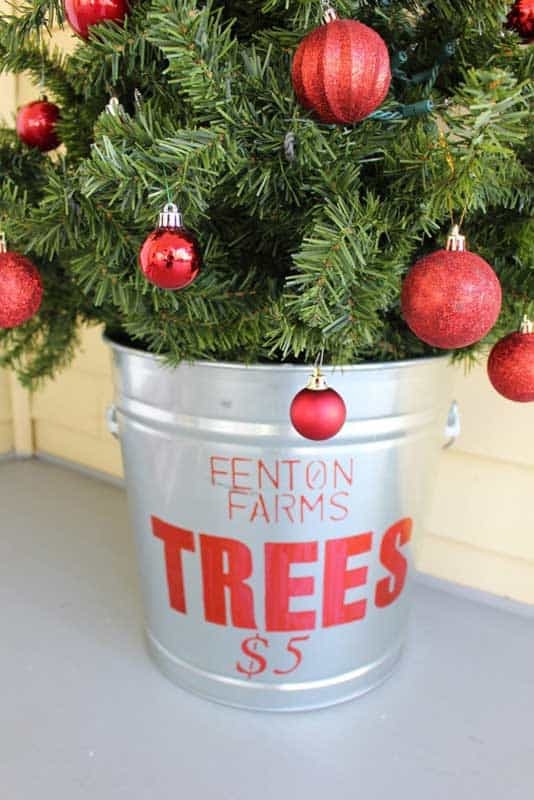 People pay big bucks on flocked trees, too. But you don’t necessarily have to! 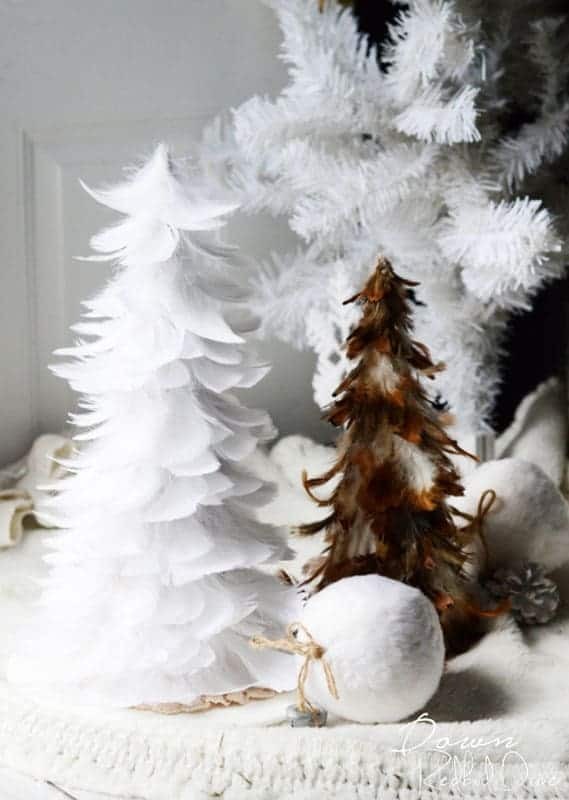 I use a quick and easy method to get that white Christmas feeling on a couple of our faux trees each year. It’s a one-step process with a fantastic looking result! 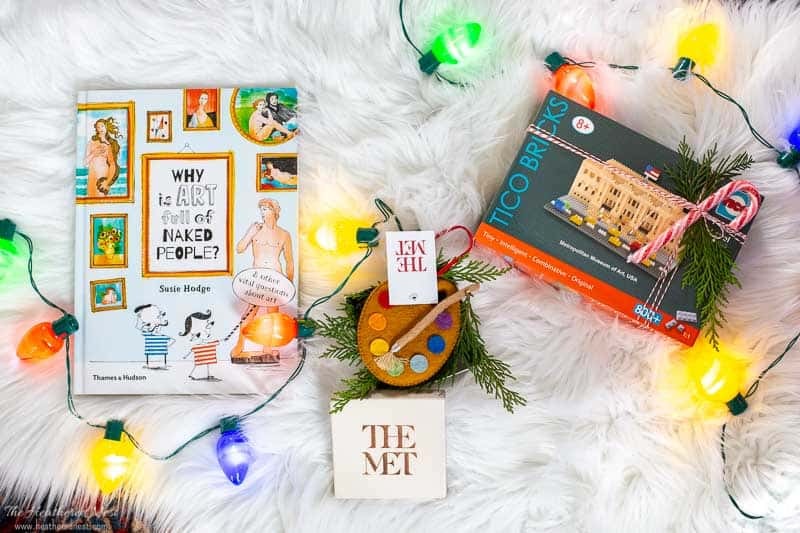 Megan admits that the typical Christmas palette really doesn’t fit with her design aesthetic. 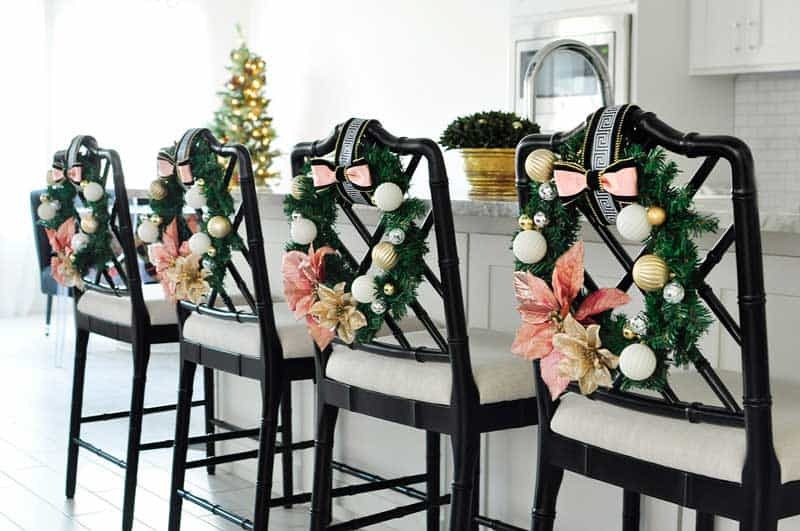 She says, “I can feel a little lost in the Christmas decor aisles because everything seems to be flashy or extremely pricey.” So she went her own direction with this favorite Christmas craft. 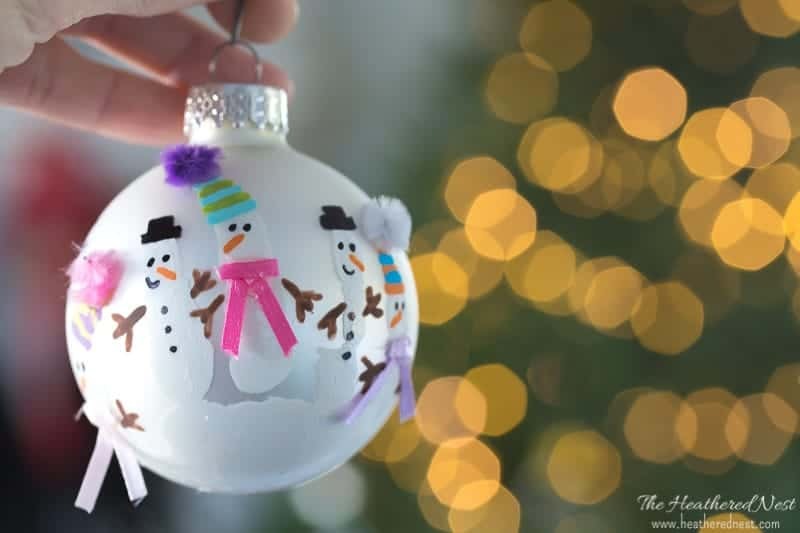 This is a quick glue and go ornament that the kids can help make this year to add to the tree. 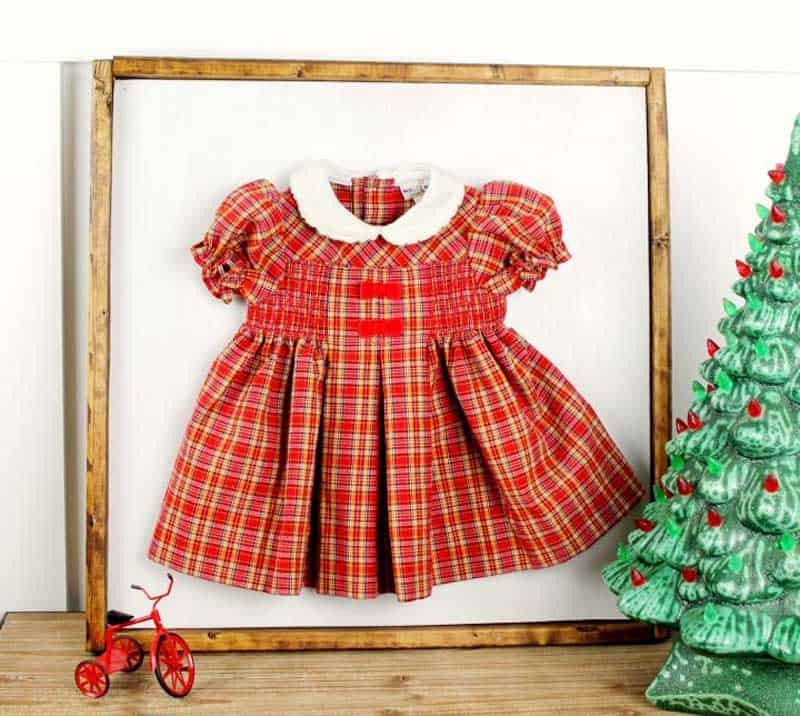 Kids love anything that is personalized for them, don’t you agree? 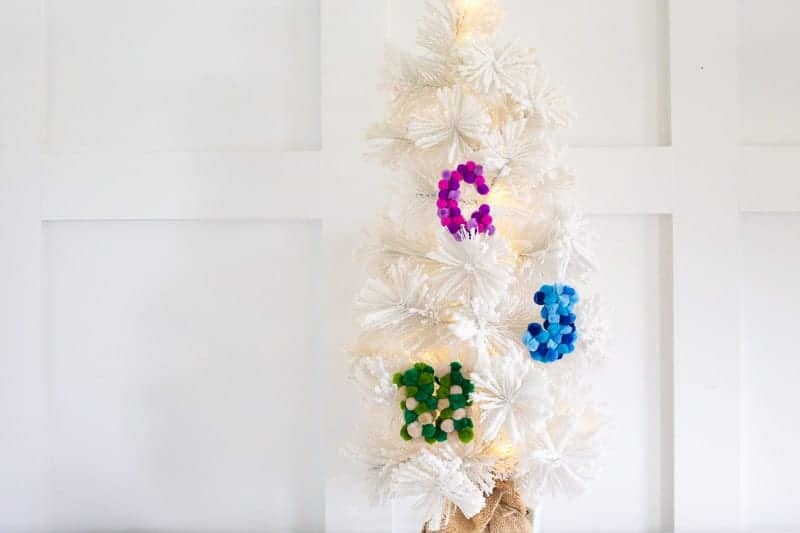 These simple and inexpensive letter ornaments are a colorful and fun Christmas craft to try this season. 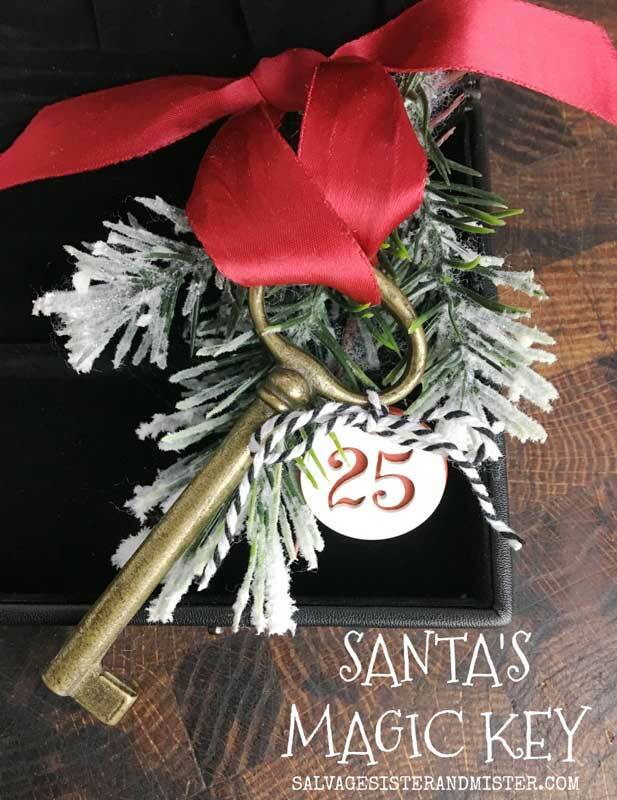 Are you familiar with the story of Santa’s key? I didn’t know about it, but Deborah’s family did! And they made this special Santa’s key as a tribute to the story. 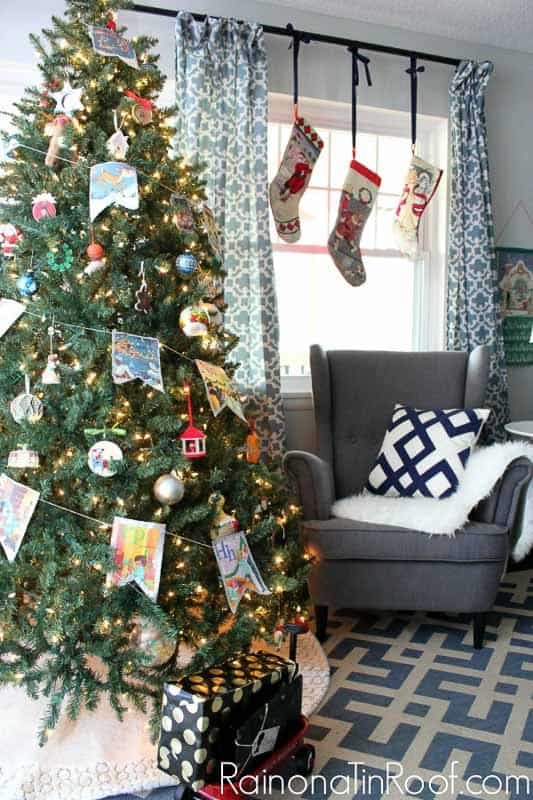 Check out her post for the details, as it may be a tradition you’d like to start with your own family! 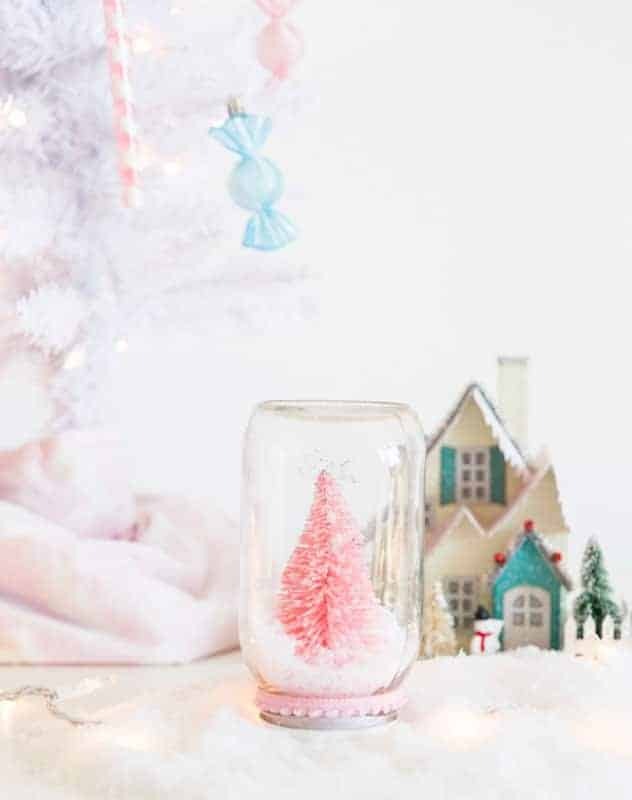 This craft can be made solely from items found at the Dollar Tree, although if you want larger trees, you’ll likely have to grab the foam tree forms at the craft store, OR, use a school supply like I did so that you can add lights to this craft and make them glow on wintery evenings. 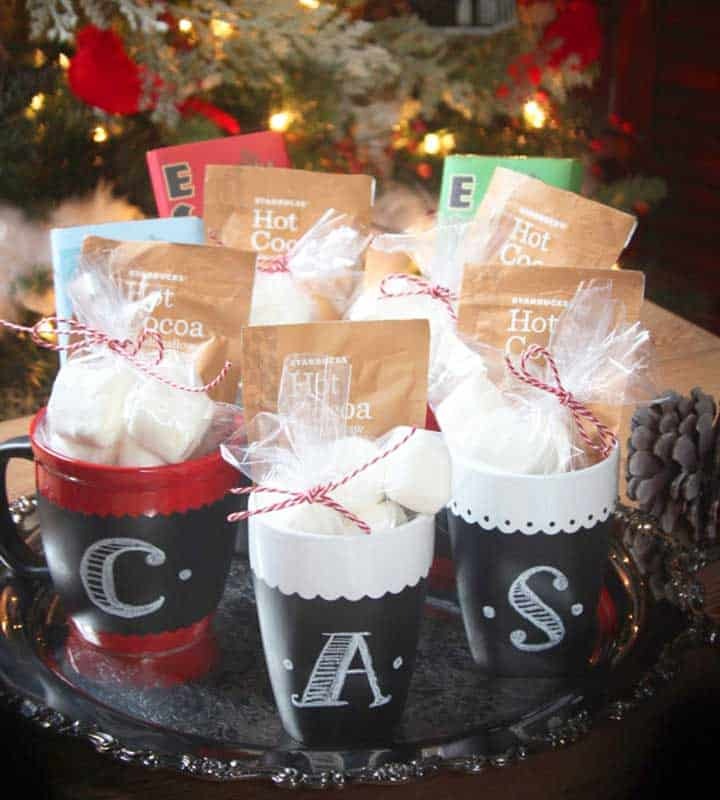 Brittany says that her post about these chalkboard mugs is her most popular blog post ever. Indeed, it’s been shared 38,000 times! 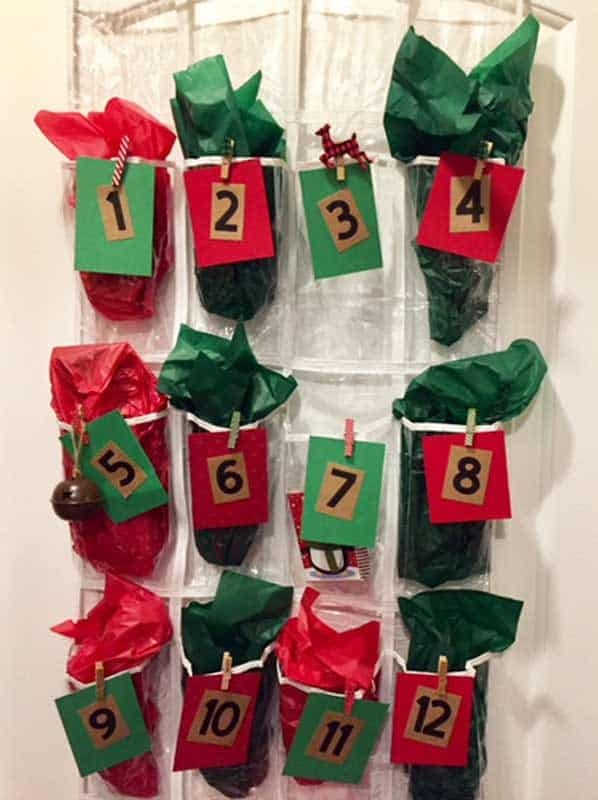 What a simple and fun teacher gift idea this would be! Or a great gift for a grandparent, neighbor, etc. 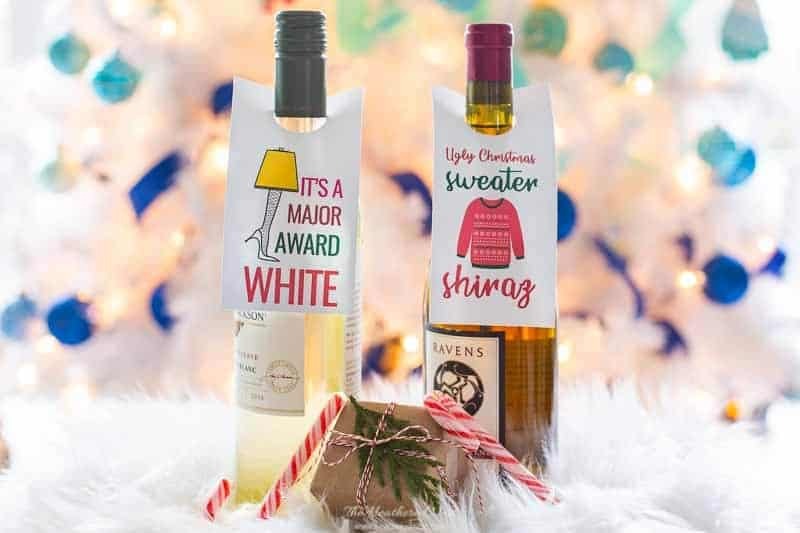 How about this for a great way to memorialize Christmas cards?! 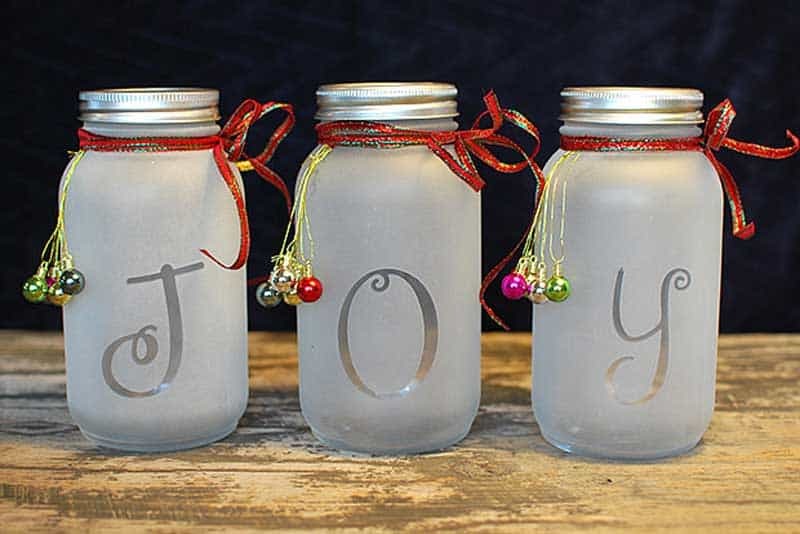 I feel guilty throwing them away, so this is such a fun idea to do something useful with them after they’ve been read! If you’re anything like me, you’ve got tons of paint chips lying around that are going nowhere. 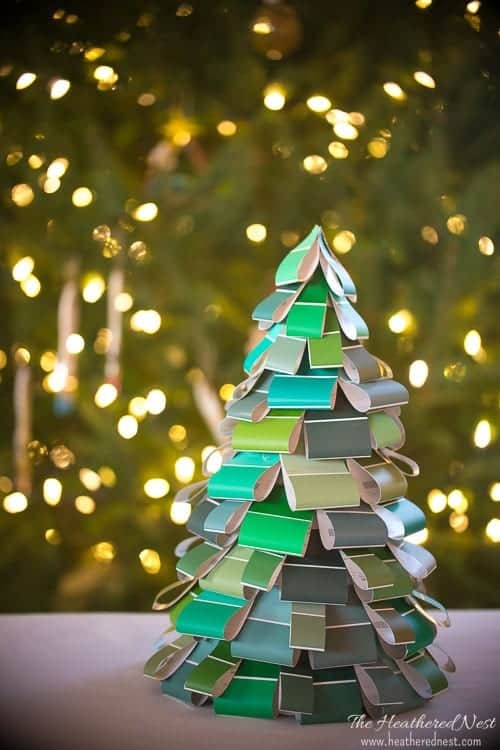 This paint chip tree was a colorful way to upcycle some! It turned out so cute, and could be done in any palette you’d like! 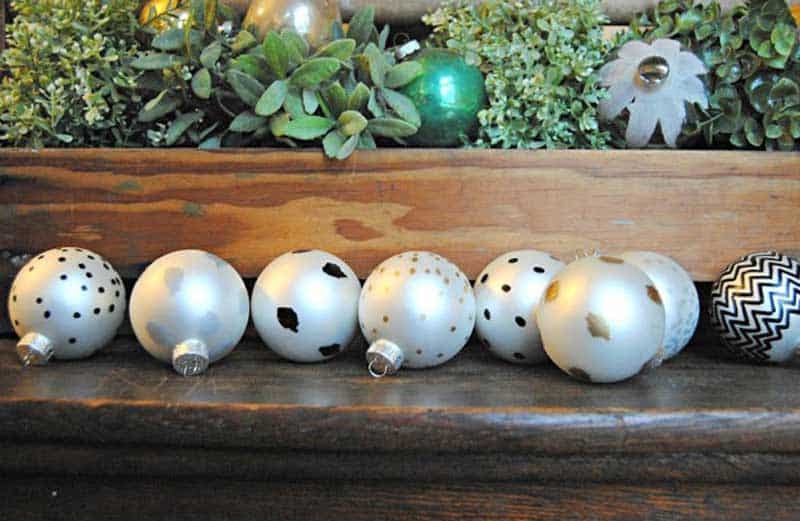 Denise grabbed some basic ornaments and a paint pen. She says these ornaments only took her about 10 minutes to make. 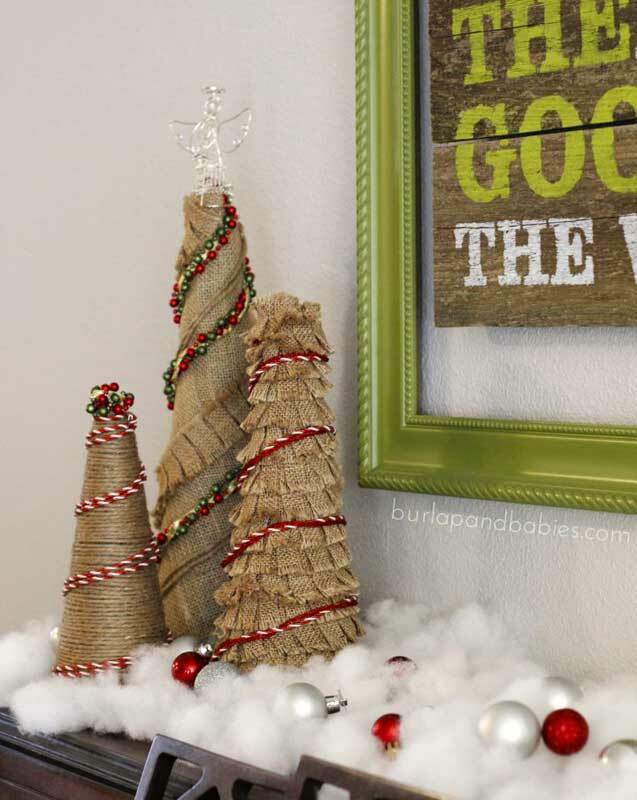 Amanda made these burlap trees while nesting and awaiting the arrival of her daughter. 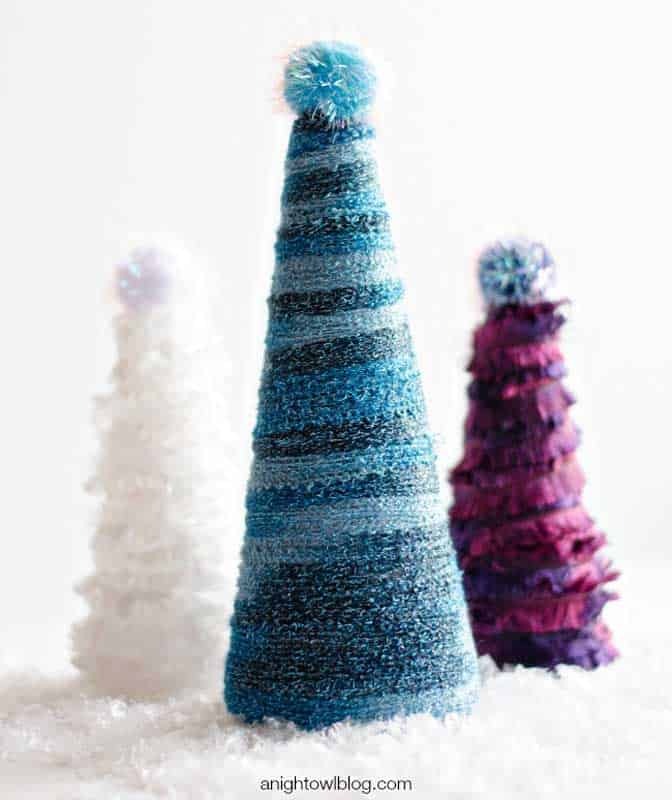 If her daughter hadn’t come a few days late, these trees may not have ever been made! 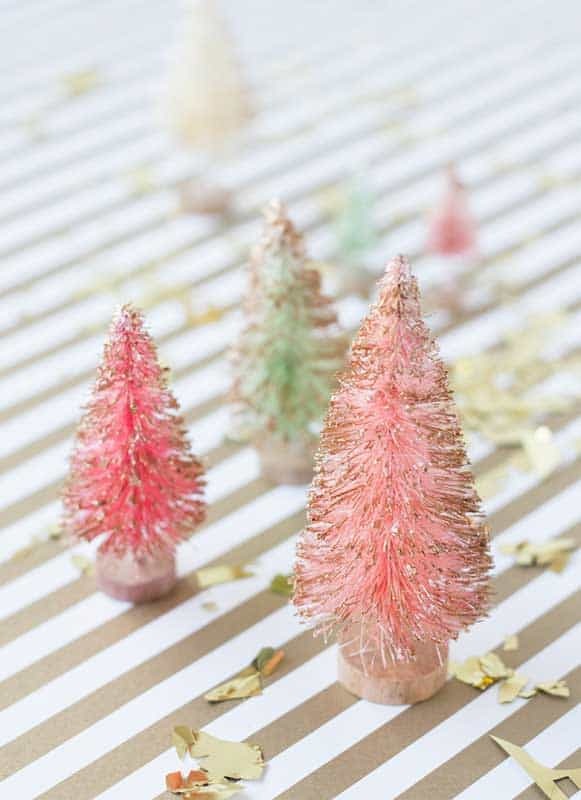 Kelly from Studio DIY made these colorful gold-tipped bottle brush trees as part of a blogging challenge. 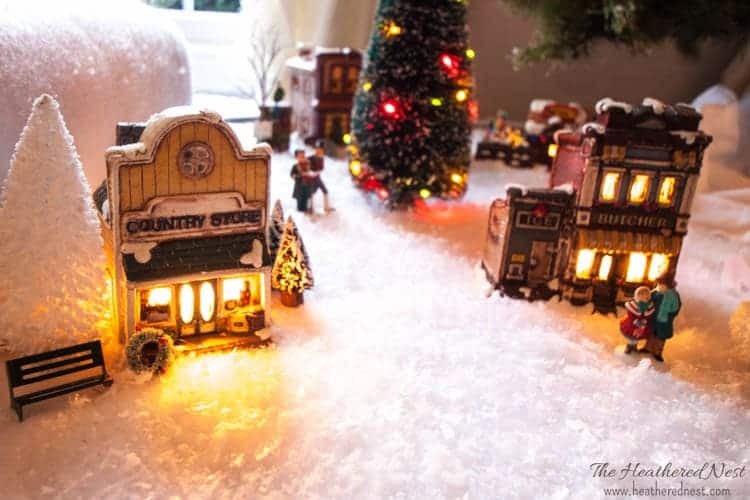 I’d love to try these to add to our Christmas village! Long before Justin Timberlake, having sunshine in one’s pocket always brought a smile. But I gotta say, I love the saying a WHOLE lot more in this post JT world ❤️😬😉. 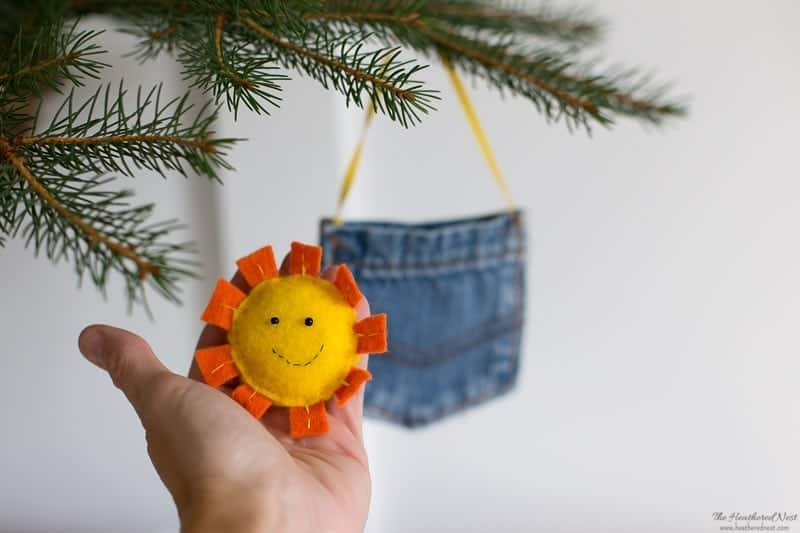 Add a little sunshine to a loved one, or JT fan this Christmas with one of these felt and denim ornaments! 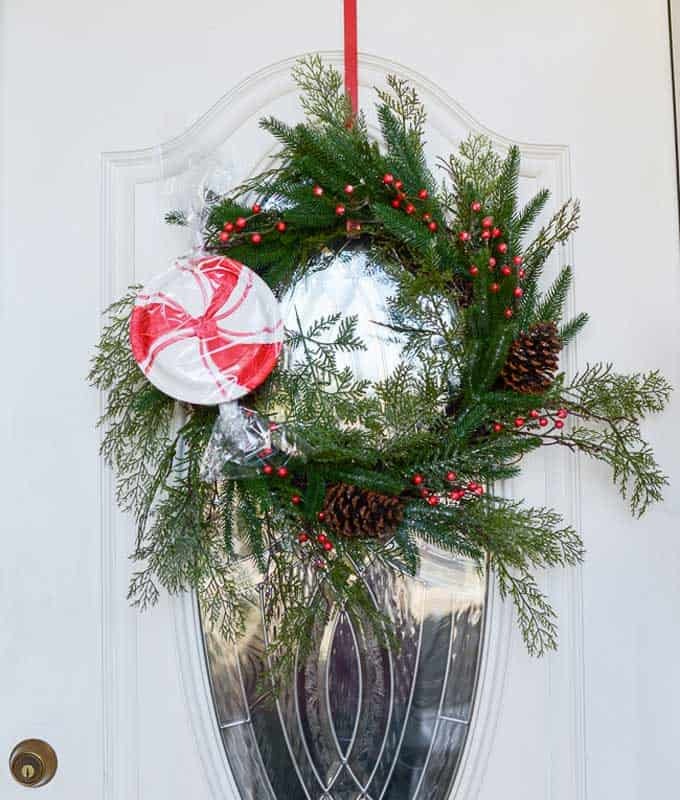 Nicole admits to not doing as much decorating outside her home as she does inside. 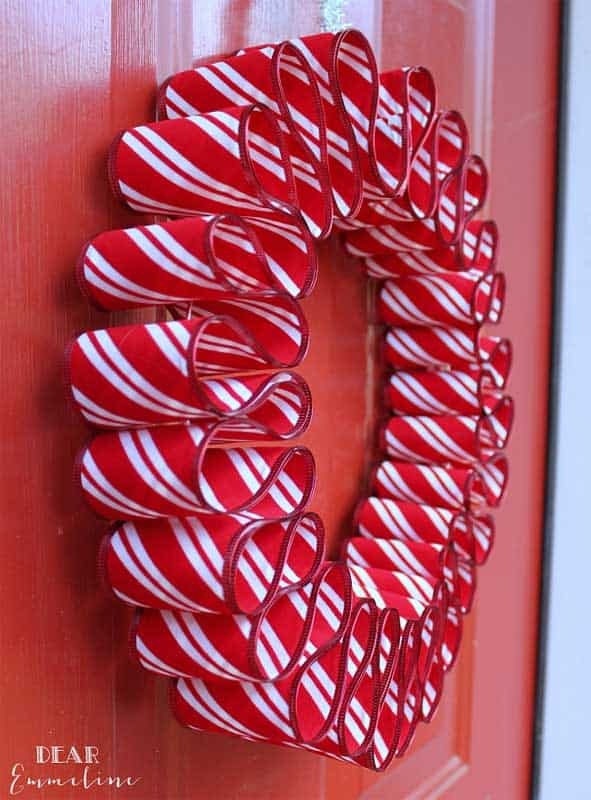 So she made these big faux peppermint candies to hang outside on garland and a wreath for the front door. They look really easy to make. Like 5-minutes kind of easy! 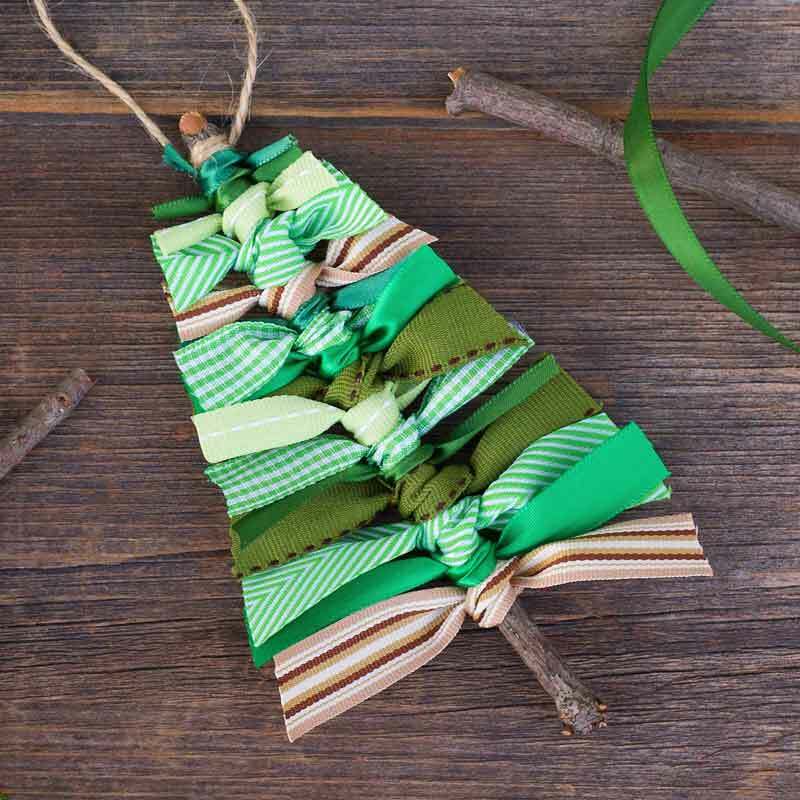 I ADORE these ribbon Christmas tree ornaments Melissa made. I even made my own version with cinnamon sticks last year, but admittedly, mine didn’t turn out nearly as cute as hers!! 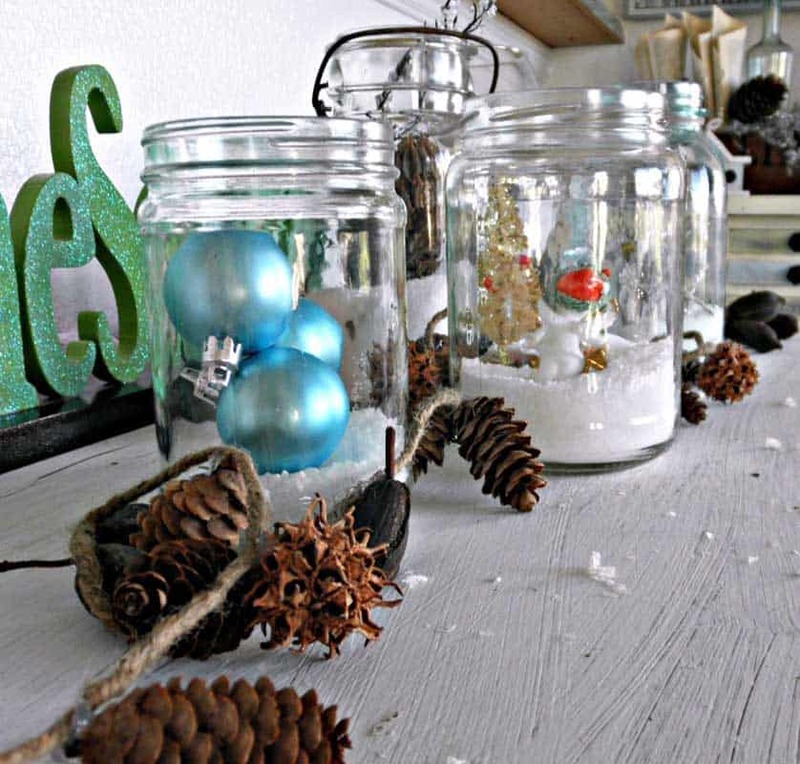 Melissa made these sweet snow globes out of two fave Christmas craft supplies…bottle brush trees and mason jars. That’s a recipe for a Christmas craft champion, folks. 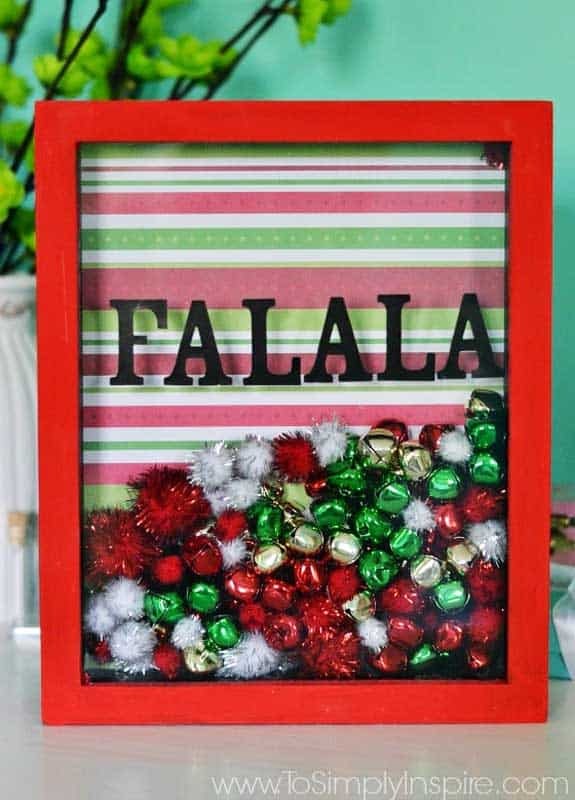 I made this Christmas craft on a whim, and it turned out so sweet! 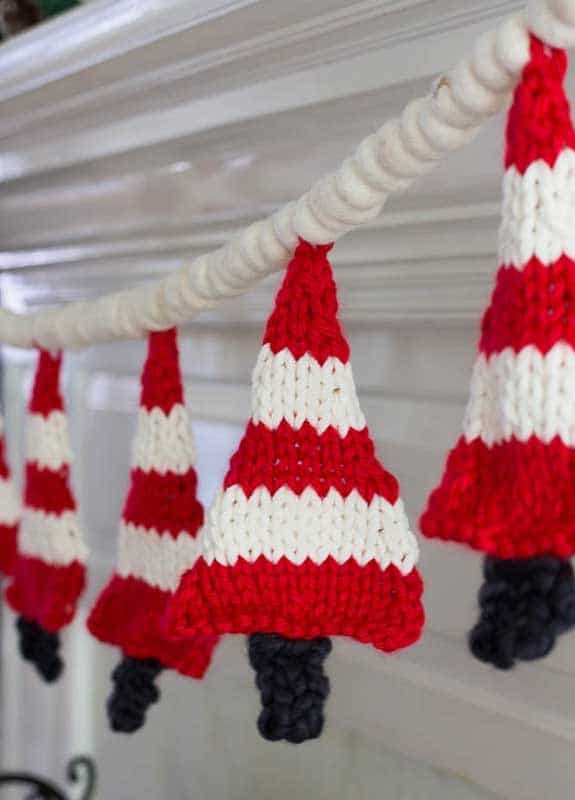 Easy enough to do, and it can add a pop of any color you’d like to your Christmas decor. 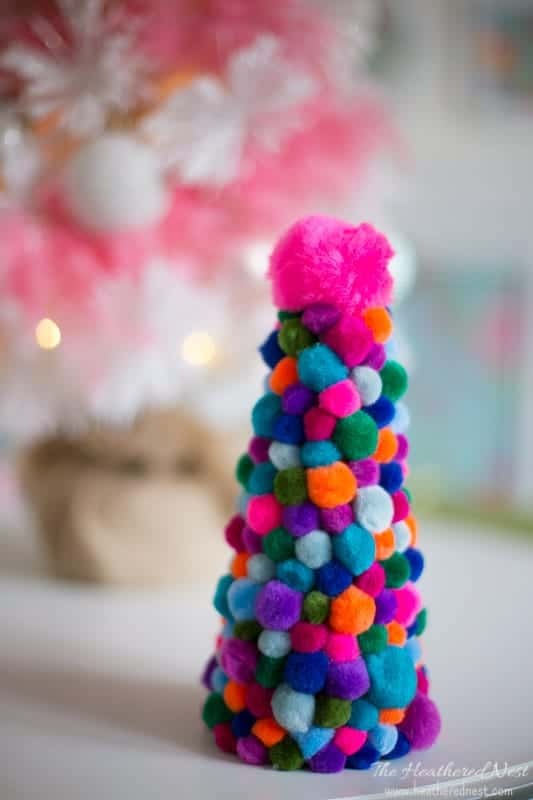 Agnes made this adorable stuffed tree with removable pom pom “lights” so the kids could have fun pulling them off, and re-arranging them. What a great idea!! 46. 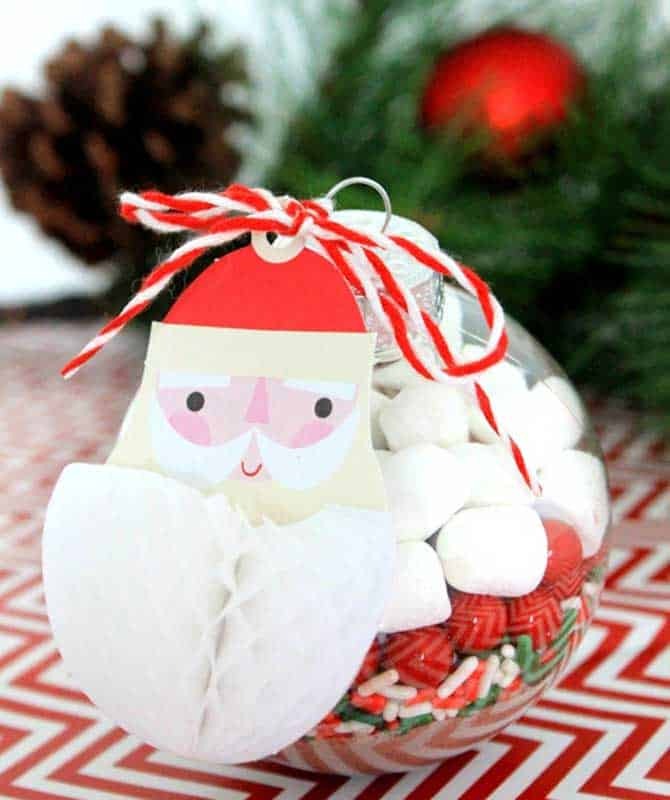 DIY Santa List Christmas Ornament | Pineapple Paper Co. 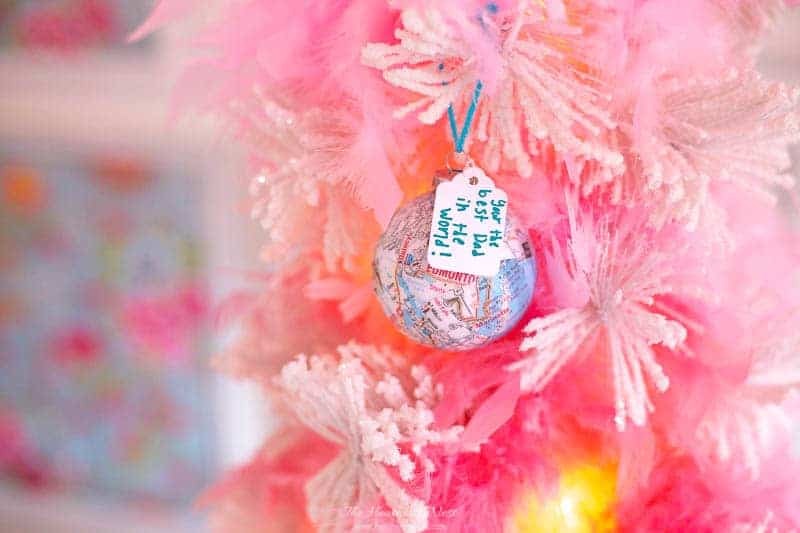 The blogger behind Pineapple Paper Co. uses clear ornaments as a way to preserve the kids’ letters to Santa. Dr. Suess fan? 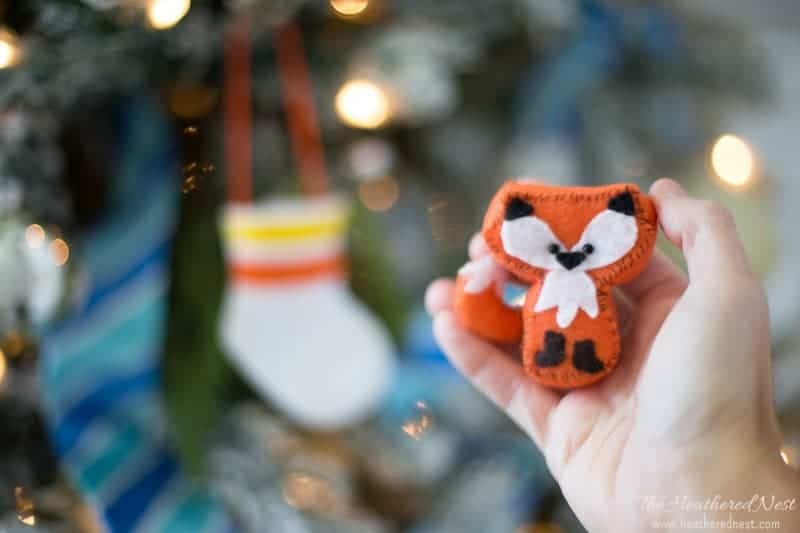 How about a little fox in a sock for the tree this year? 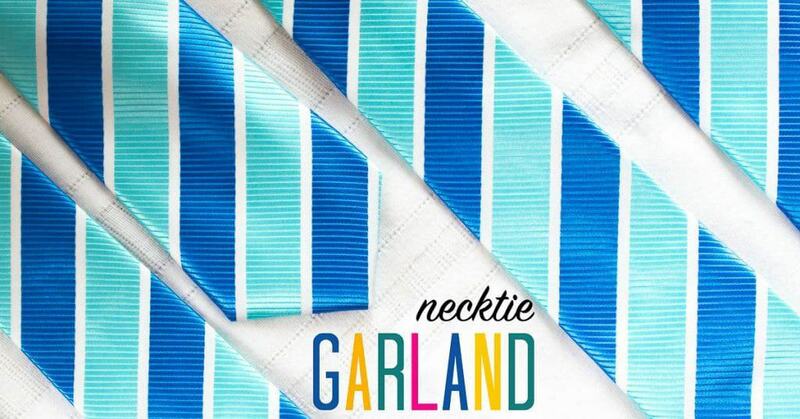 Free pattern downloads on the post linked in the title or by clicking on the picture below. 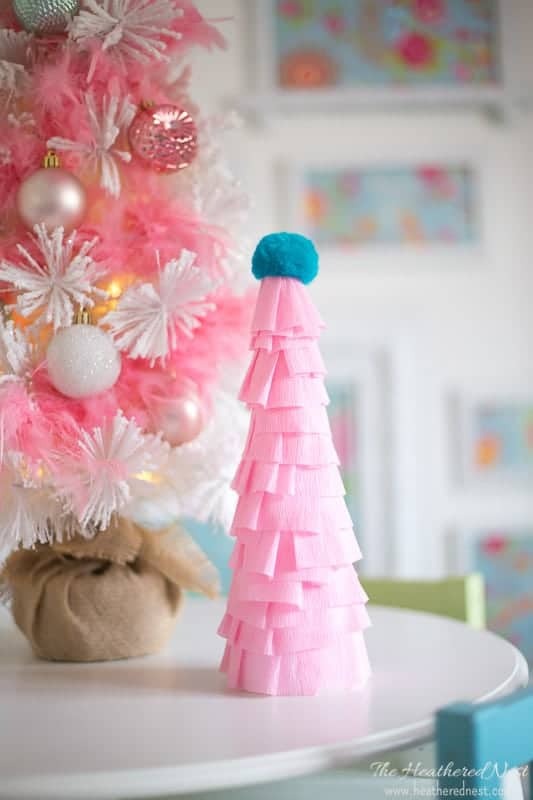 Another super simple Christmas craft, and easy to personalize with any color(s) you want, Kimberly explains this project tree top, to tree bottom. And you’ll be done in a flash. 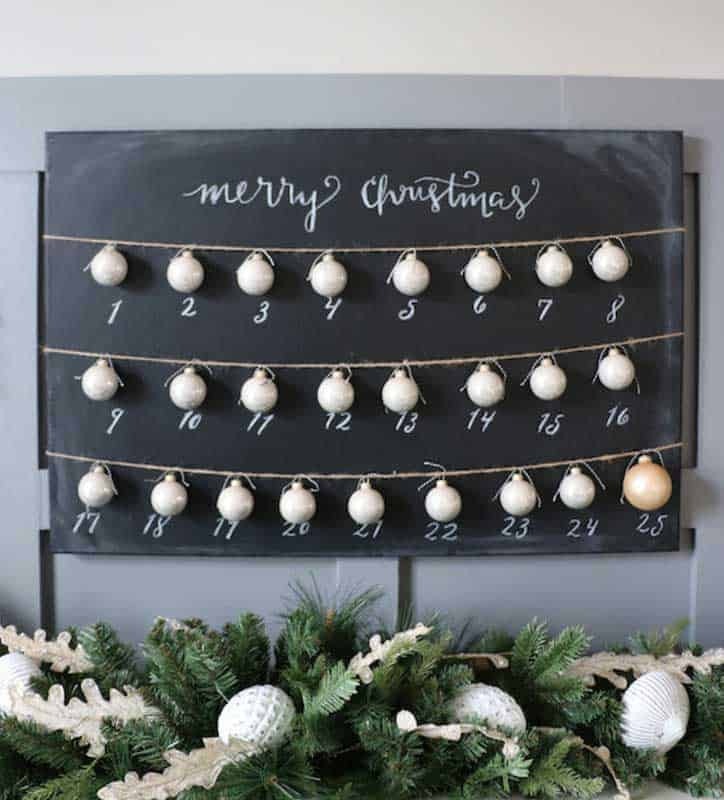 Talented Sara saw a similar countdown calendar in the Ballard Designs catalog, and decided to make her own, budget-friendly DIY version. She makes the instructions very easy to follow. I was shocked when I saw how simple the tutorial was. 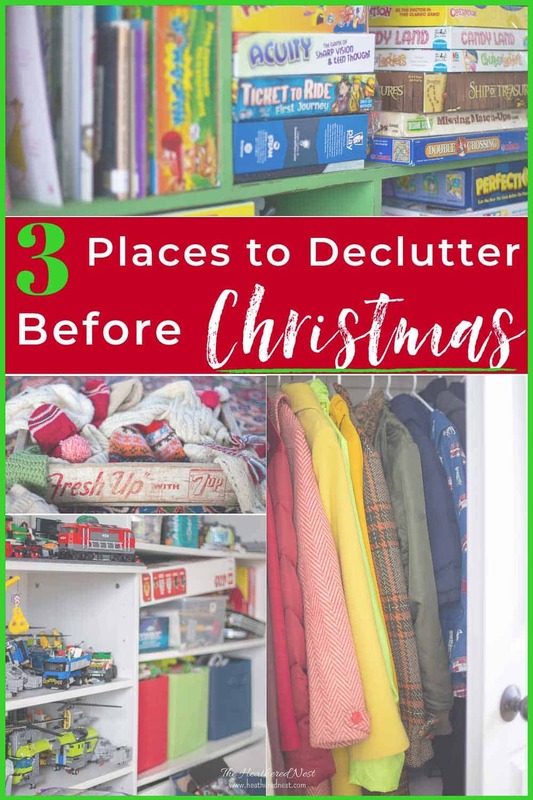 She says you can either add an ornament each day as you head toward Christmas, or countdown by removing the ornaments each day and hanging them on the tree. When I was a girl scout back around the 4th grade, we made these ornaments at a troop meeting, and I’ve cherished mine ever since. It still hangs on our tree each year. But now, I’ve added some more of these nativity ornaments, made by my kids. 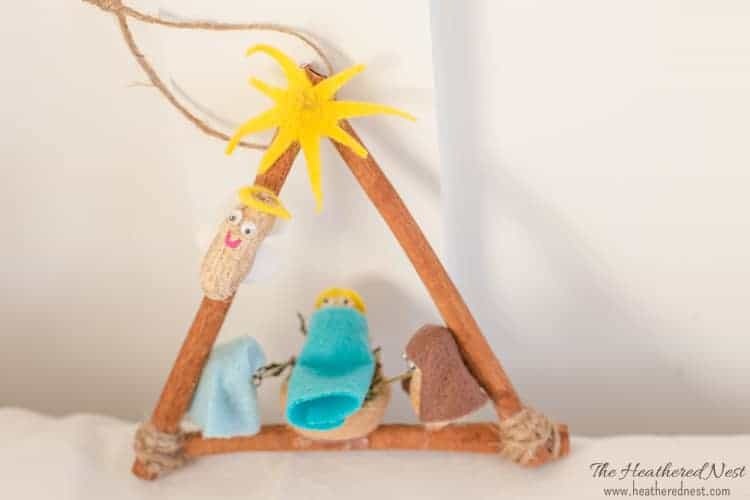 The original version used popsicle sticks to create the frame/manger, but I decided to use cinnamon sticks on the new version to add a little Christmas scent and flair. 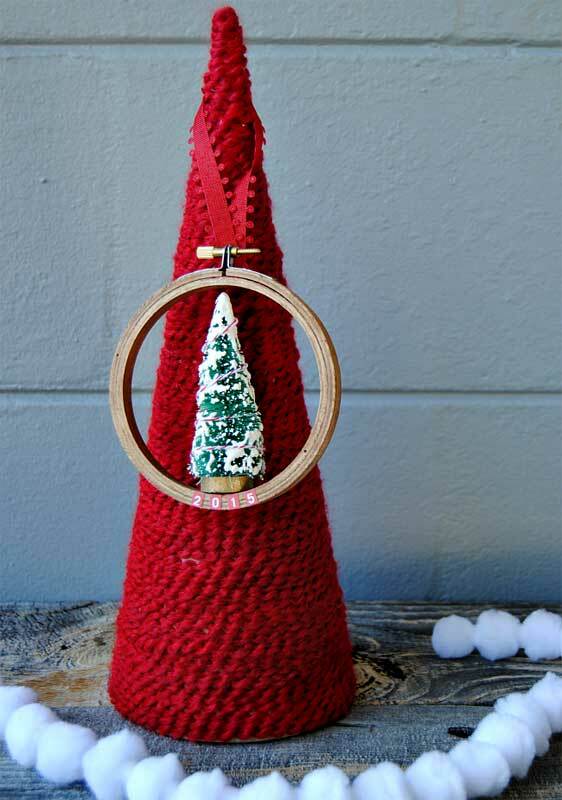 Keri whipped up these sweet embroidery hoop bottle brush ornaments in a flash. Guess I’ll be heading to the Dollar Tree for more bottle brush trees. These are too cute to pass up. 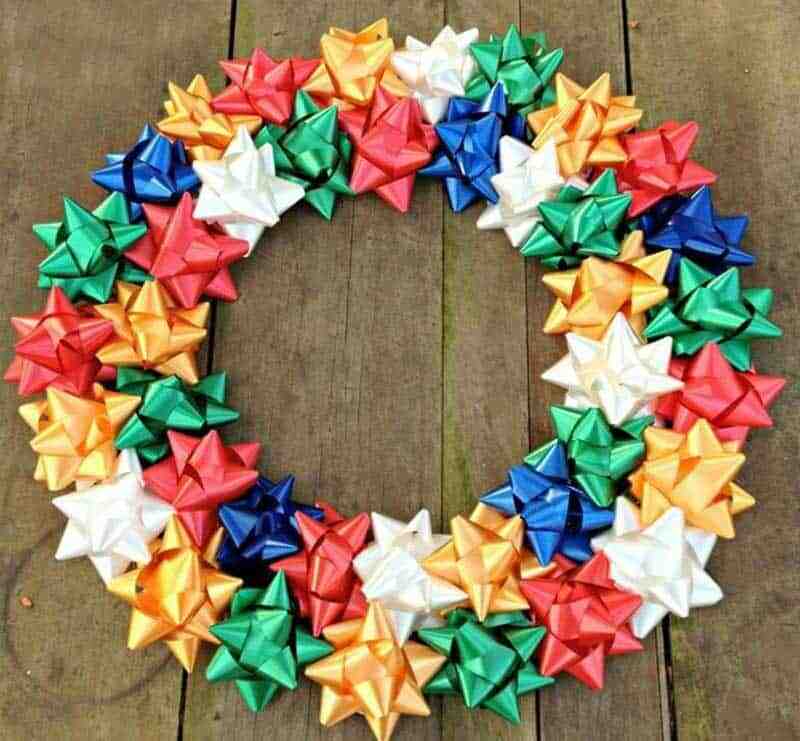 Christie made this precious garland with her 3-year old. And she has a super easy technique to get this perfect ombre look. 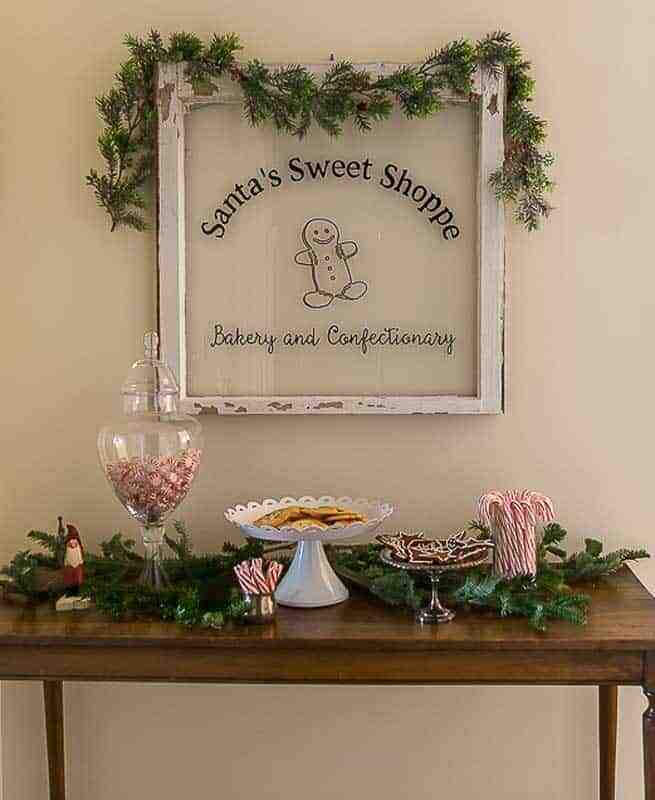 Sherri put this DIY Christmas craft together with her daughter. 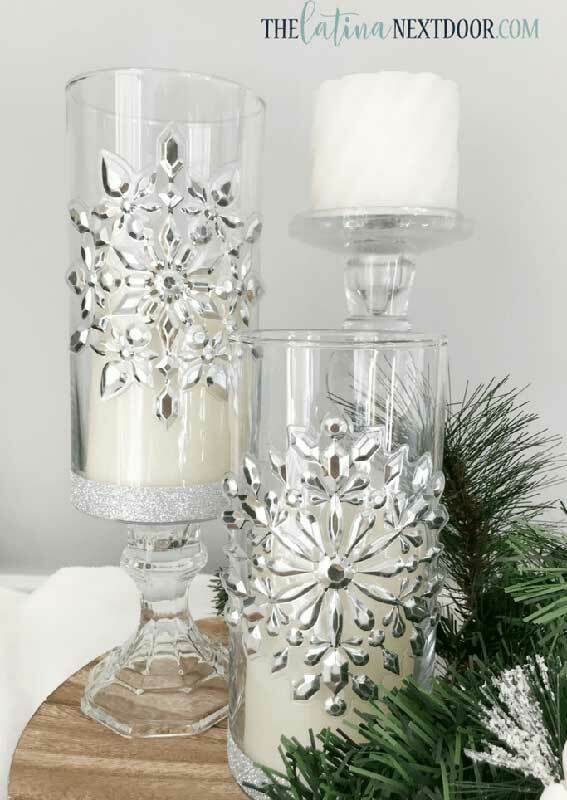 A great thing about this one is the endless ways you could personalize it to make it fit with your taste and decor! I got on a felt ornament making kick one year, and decided to try a “partridge in a pear tree”. I kind of love how it turned out! The little bird is removable from the tree. 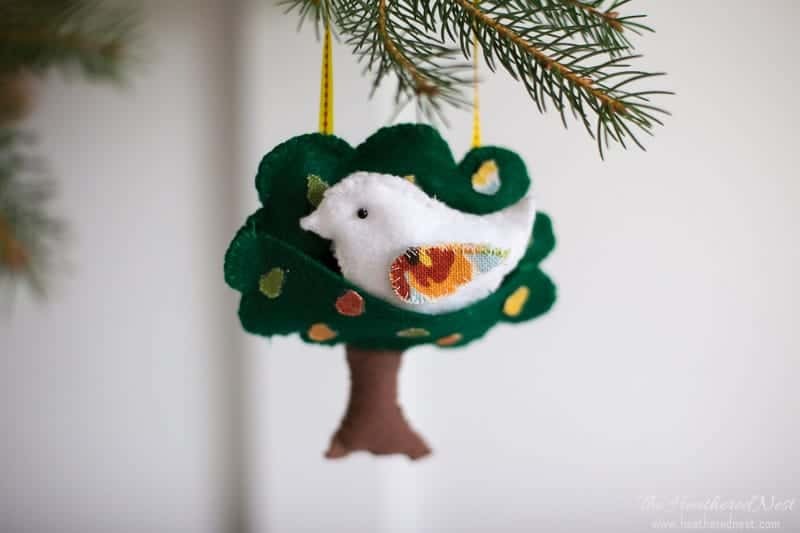 The tree pattern is free, as is the partridge bird and all the info is on the linked post. 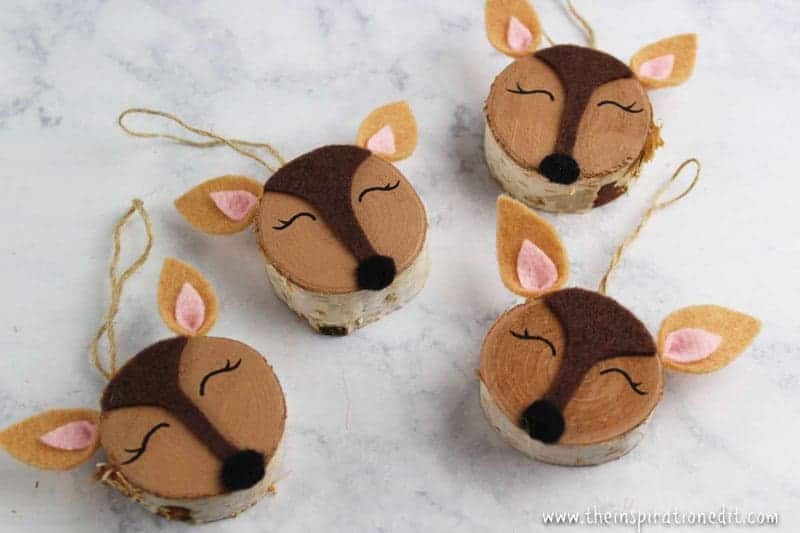 Cristy made these yummy “ornaments” that are not only adorable, they’re drinkable, too! 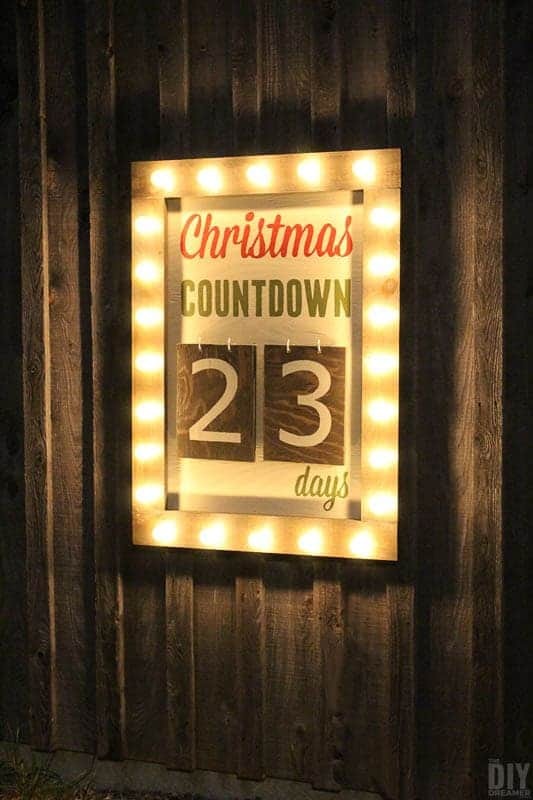 Lisa had this great idea for preserving the memory of her and her husband’s first Christmas together as newlyweds. 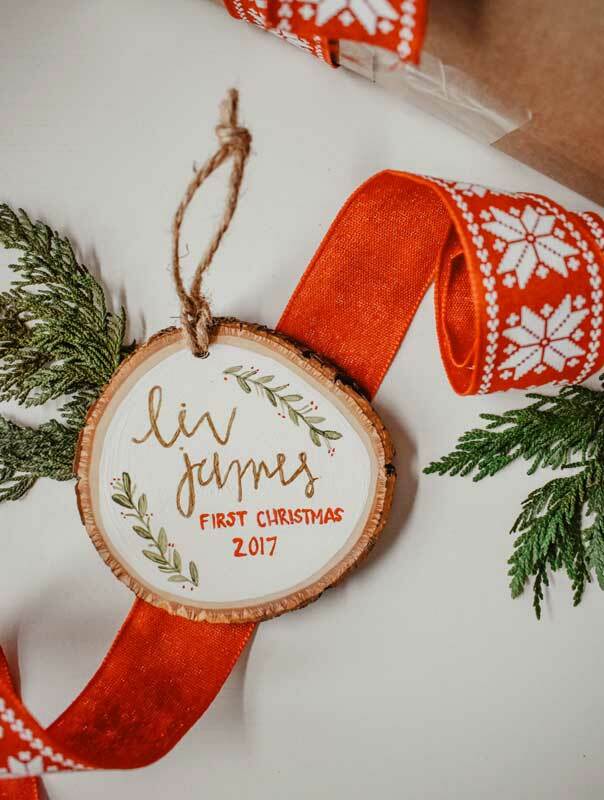 Could be great for baby’s first Christmas, and other “firsts” too! 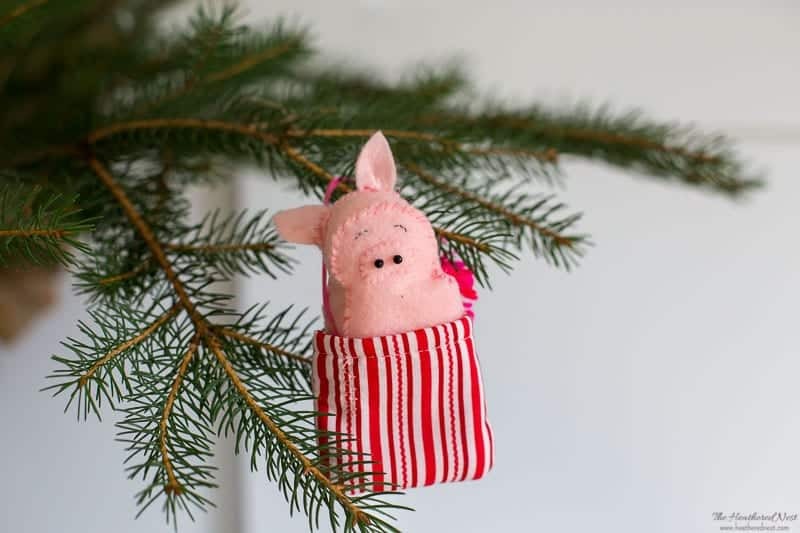 My daughter’s favorite animal is a pig, so I thought this pig in a blanket felt ornament would be a fun one to try to give her as a Christmas gift. 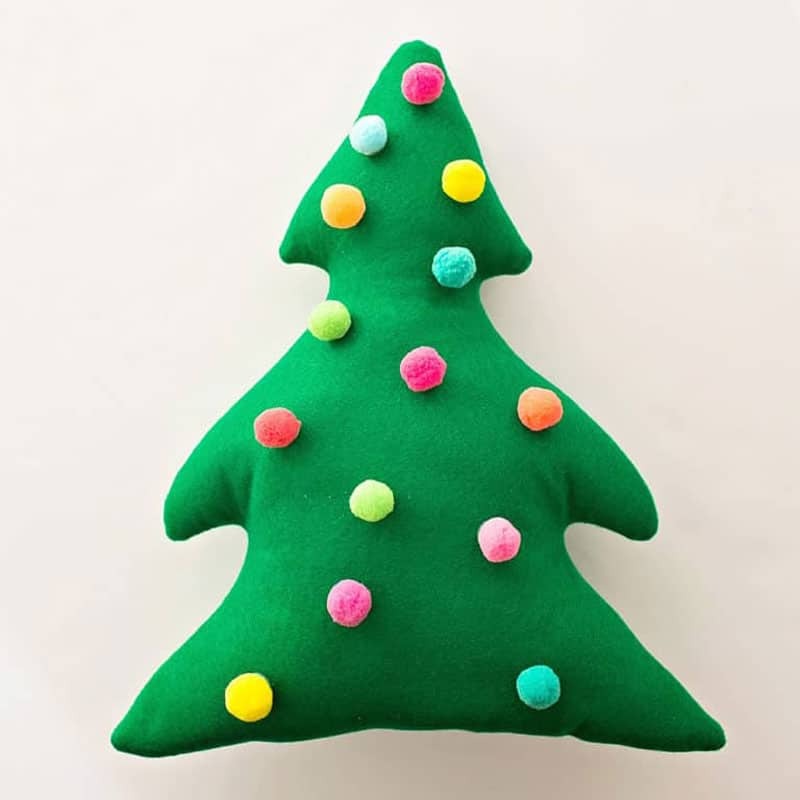 The pattern is free, and I just whipped together a simple little sleeve for the blanket complete with a ribbon to hang on the tree. The pig is removable from the blanket, which makes it extra fun. 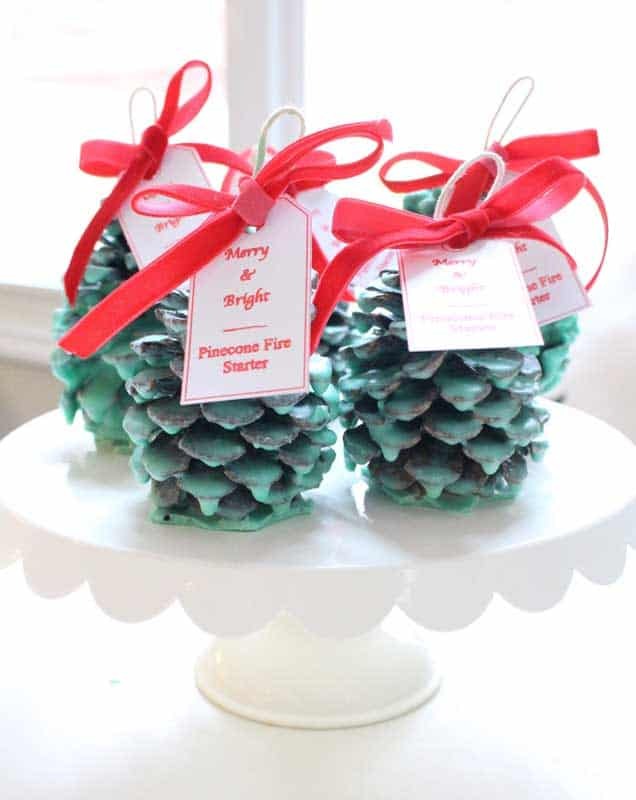 I’m planning to try and make some of these homemade pinecone fire starters that Amy made this year for gifts. 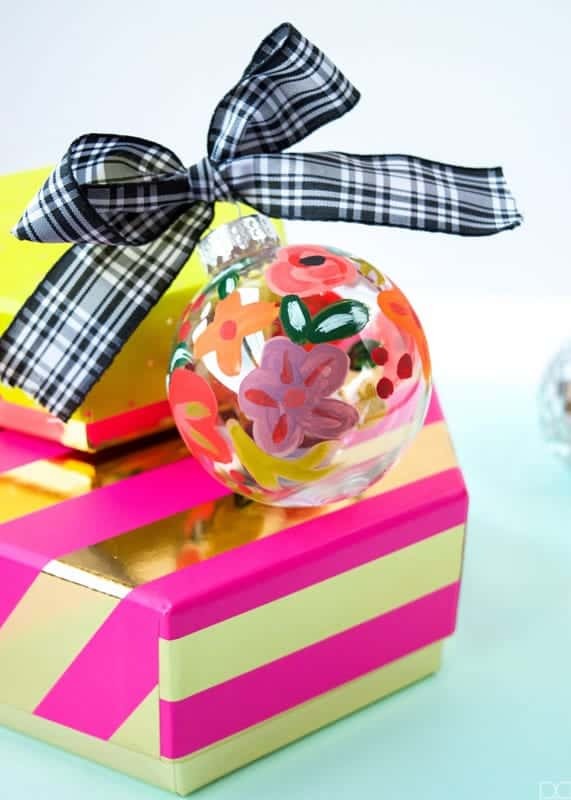 Her tutorial is super simple, and it makes such a fun, thoughtful gift idea! If I could add pom poms to everything, I probably would. They just make life a little more colorful and fun. 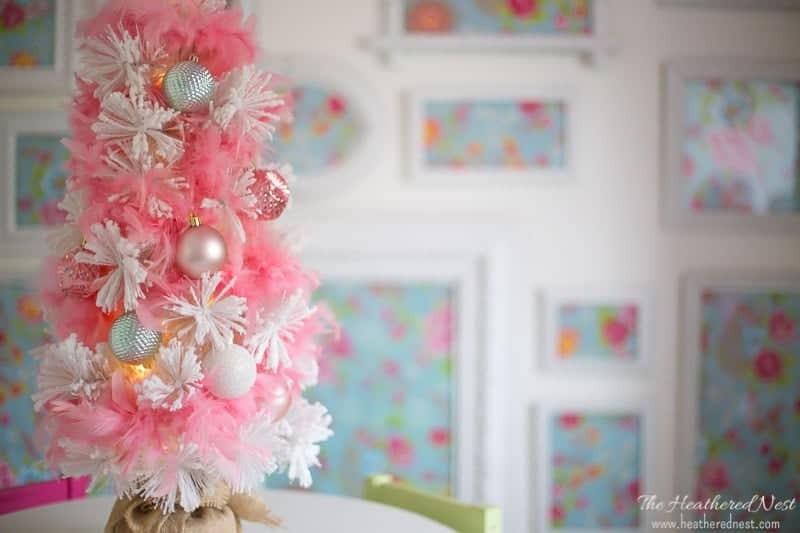 This pom pom Christmas Tree is a really fun addition to our daughter’s pink bedroom each holiday season. 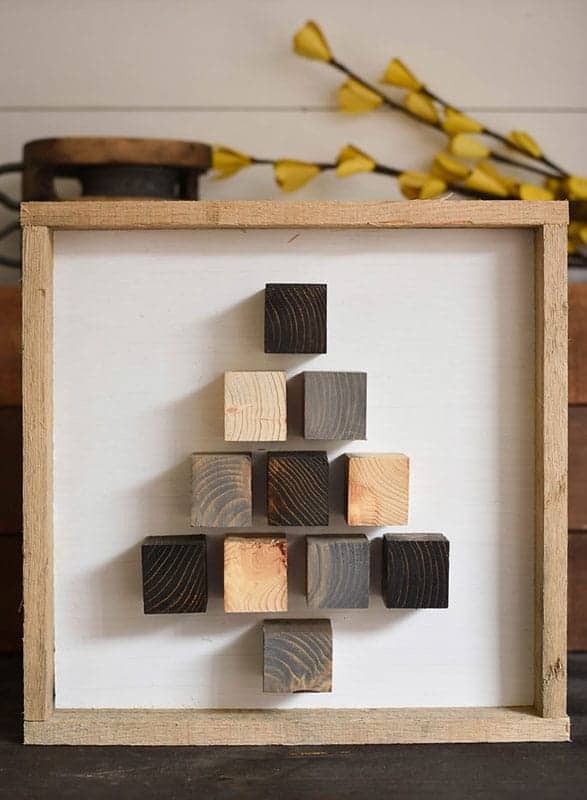 Emily made this framed Christmas tree from items she already had at home in about 15 minutes. 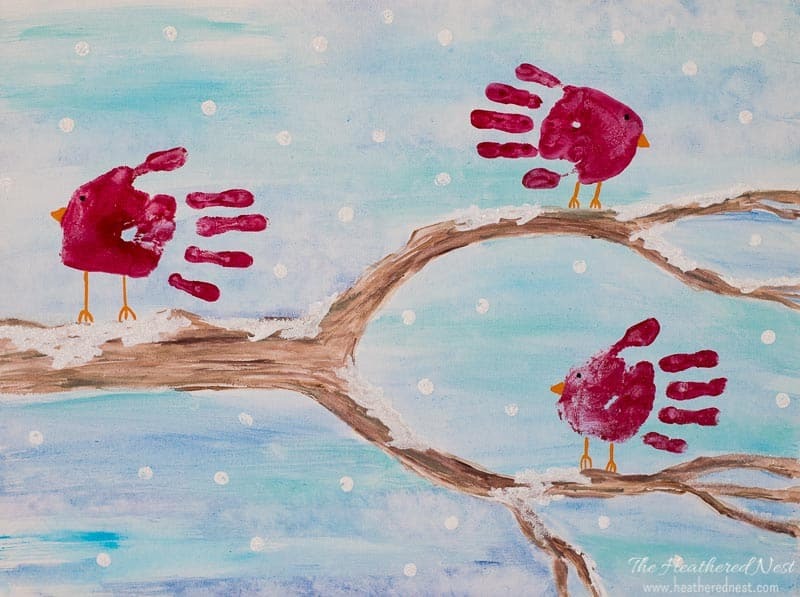 When the kids were really young, I tried to make one of these Christmas handprint canvases each year. Some years, when I was really on my A-game (ok, it was only once), I actually made them not only for our home, but for the grandparents, too! 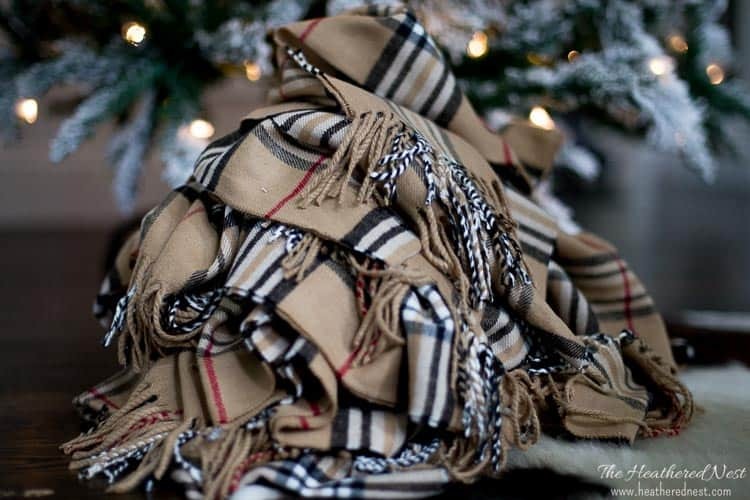 They’re a cherished item that we now take out and enjoy each year. 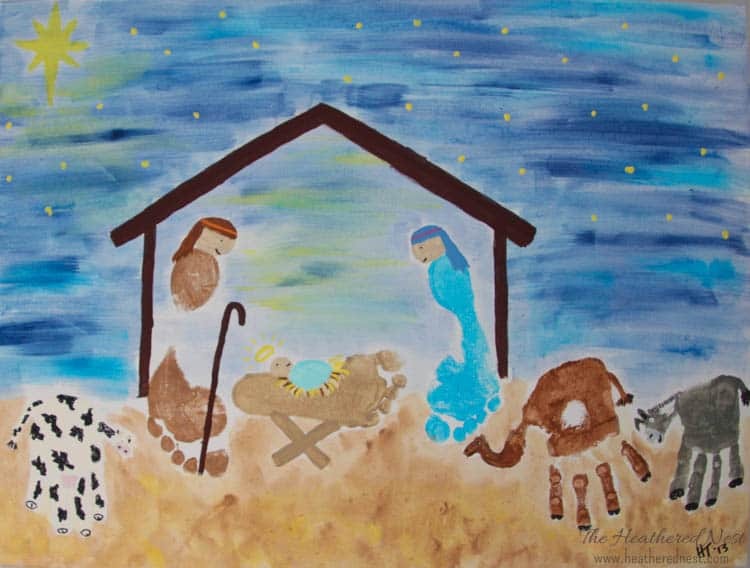 We’ve done snowmen, a nativity scene, Santa and his reindeer flying through the sky and more. Each child’s hand becomes a special part of the design, and I label each so we know whose little paw is whose as the years go by. 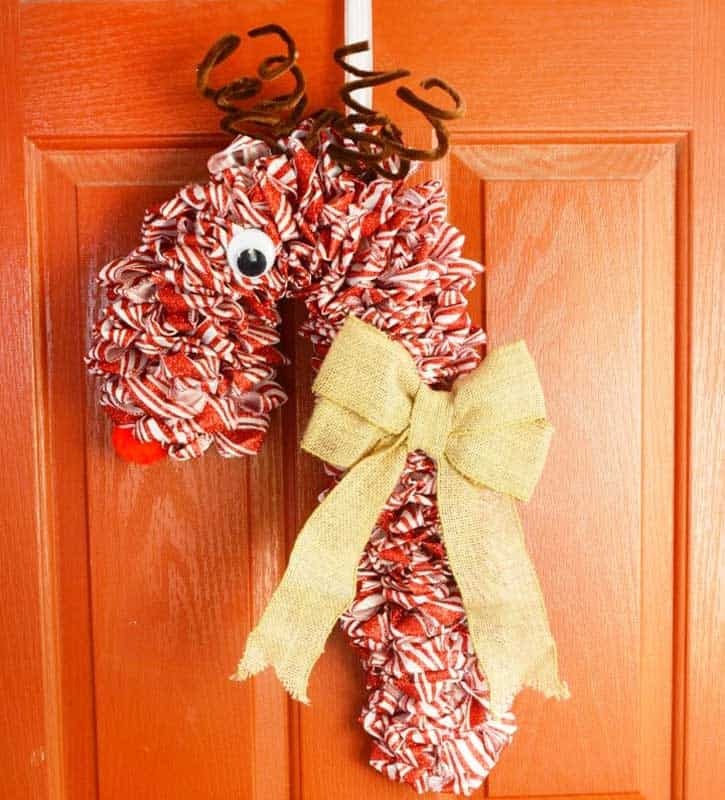 Emily made this easy Christmas craft for her daughter’s room one year. Kim shares a great salt dough recipe in this post. 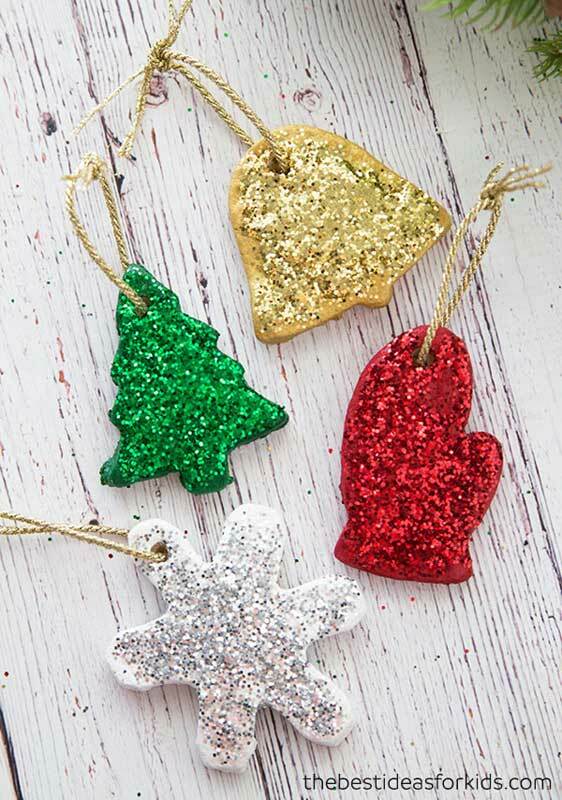 It’s one that I’ve used to make these same cookie cutter ornaments with my kids. 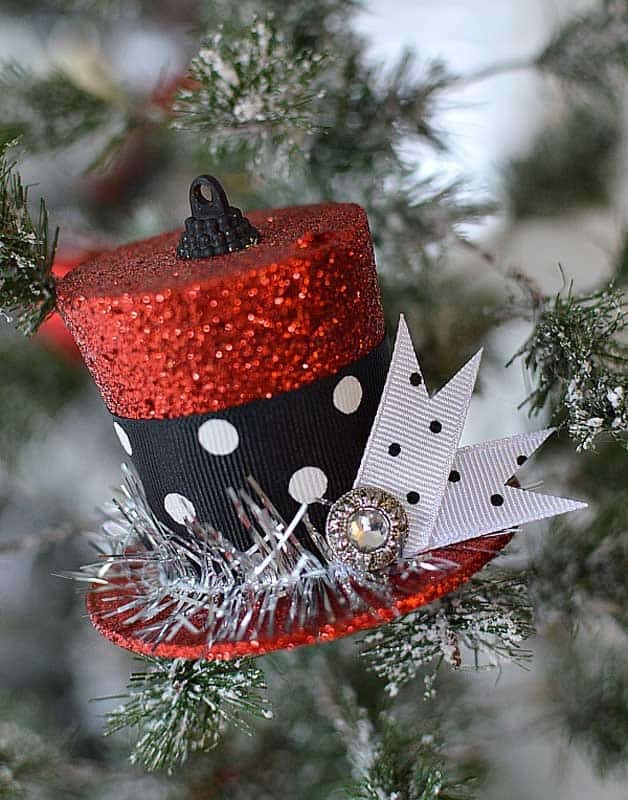 Works great, and these ornaments always are a hit whether used as a gift topper or ornament, or strung into garland. 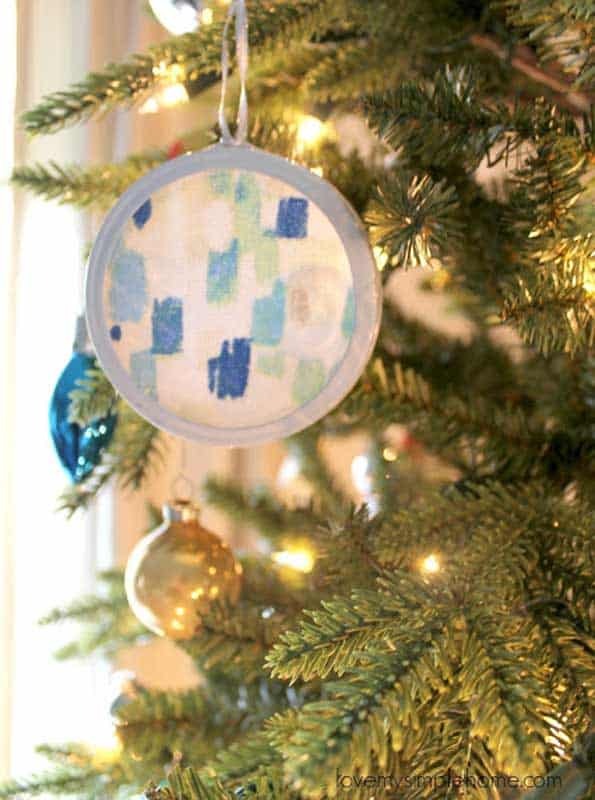 Give a loved one the world this year with a homemade map ornament. 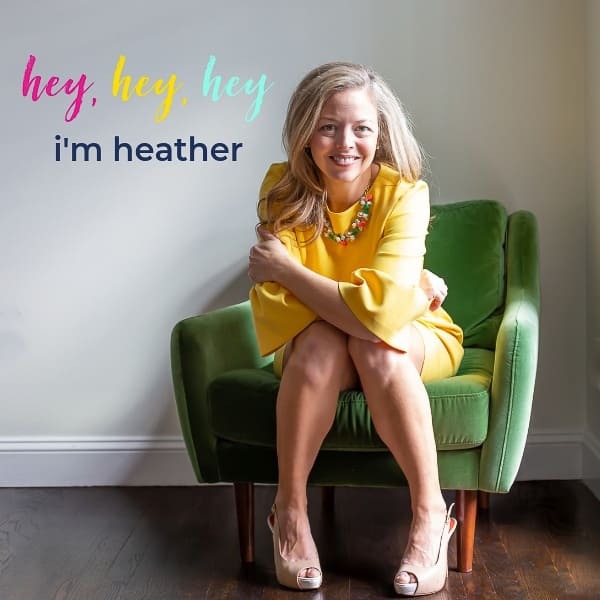 Place a heart over their hometown, a place you met, or maybe the town of your alma mater. 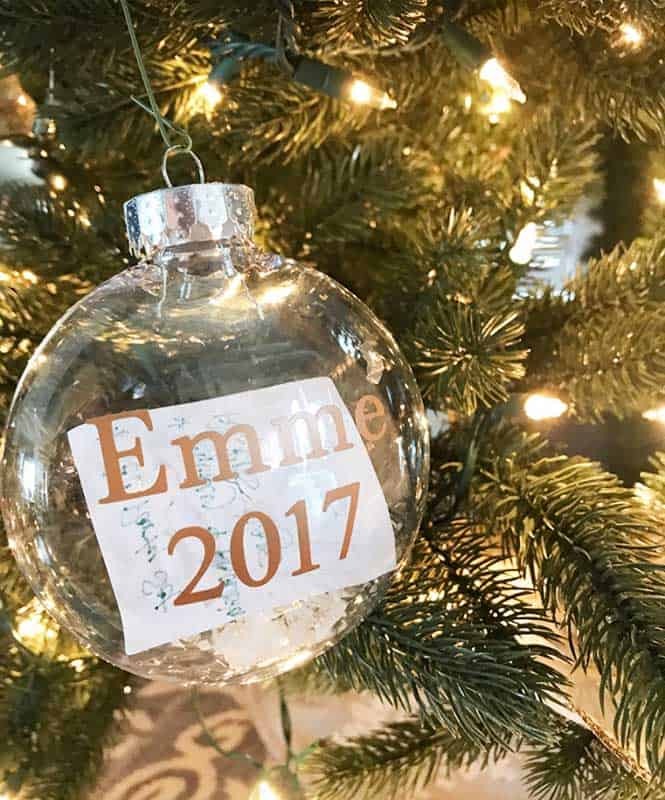 It’s a nice way to upcycle a map, and create a fun and meaningful personalized ornament. 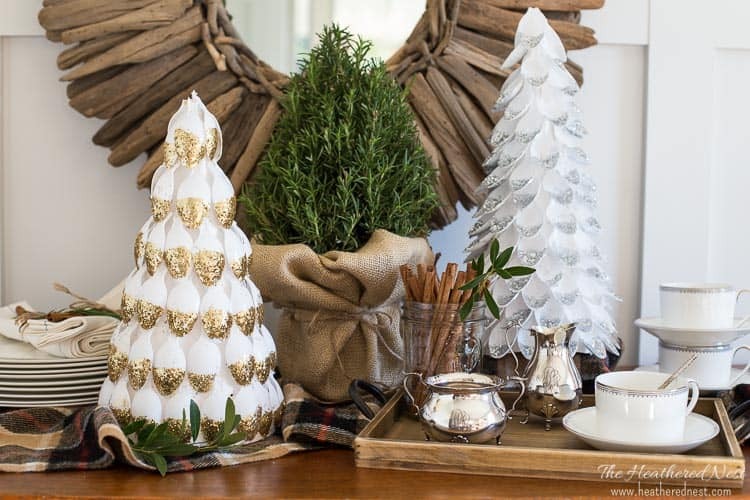 Aren’t these tea light ornaments made by Julia reminiscent of the old candles people used to put on their trees? 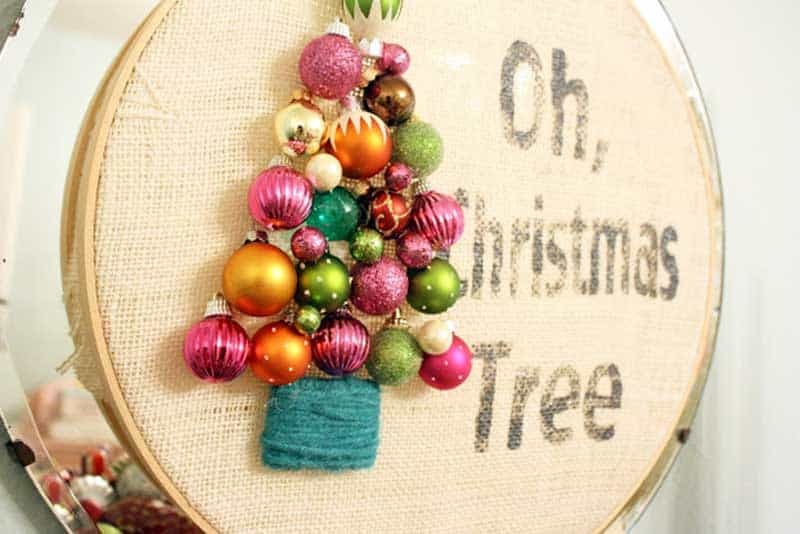 What a great idea for adding a little more light and warmth to your tree. 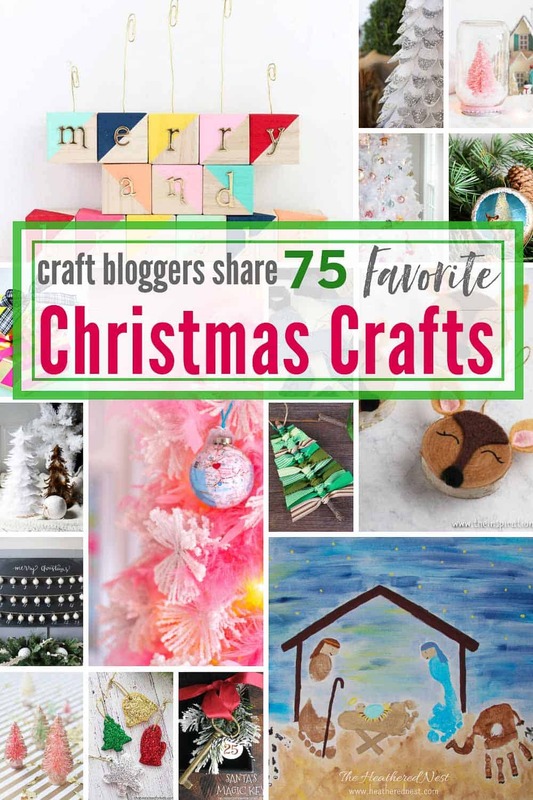 And that wraps up our list of 75 easy Christmas crafts that are the favorites of some of the best bloggers on the internet! 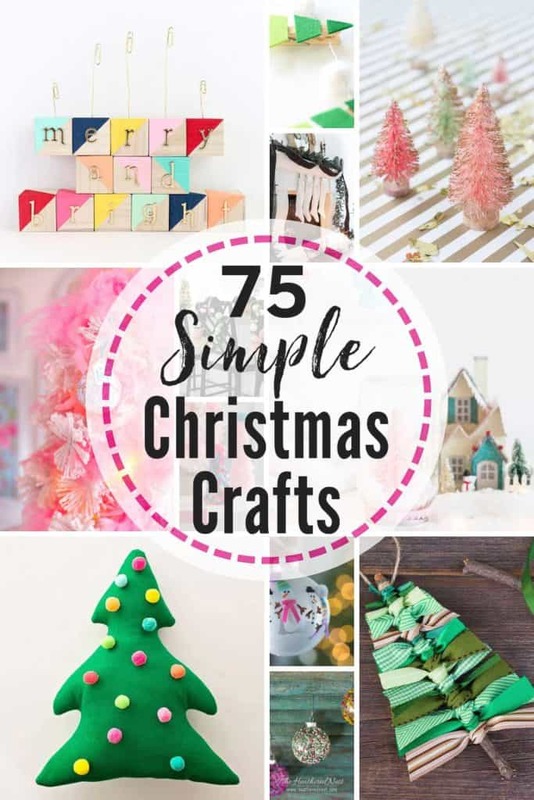 Hope you found at least a couple easy Christmas crafts to tackle this holiday season with the family, and maybe a couple new great blogs to follow as well! 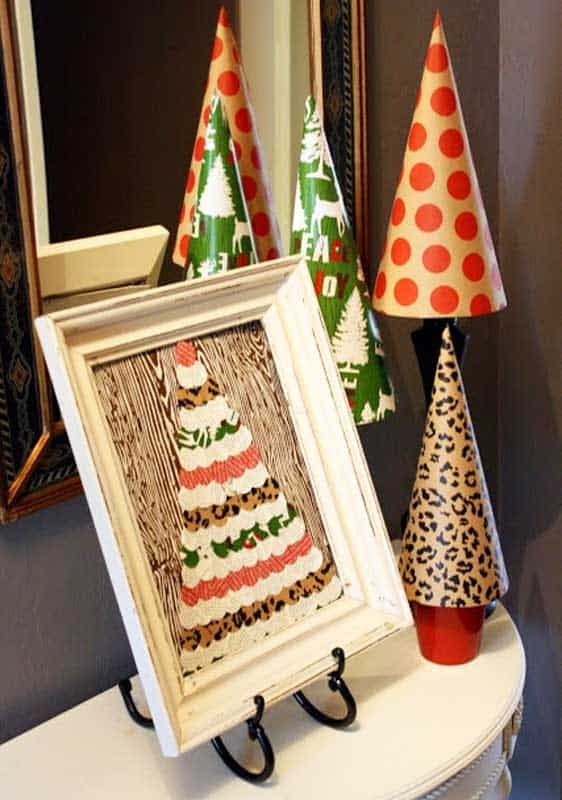 Pin these easy Christmas crafts for later using the photo below! 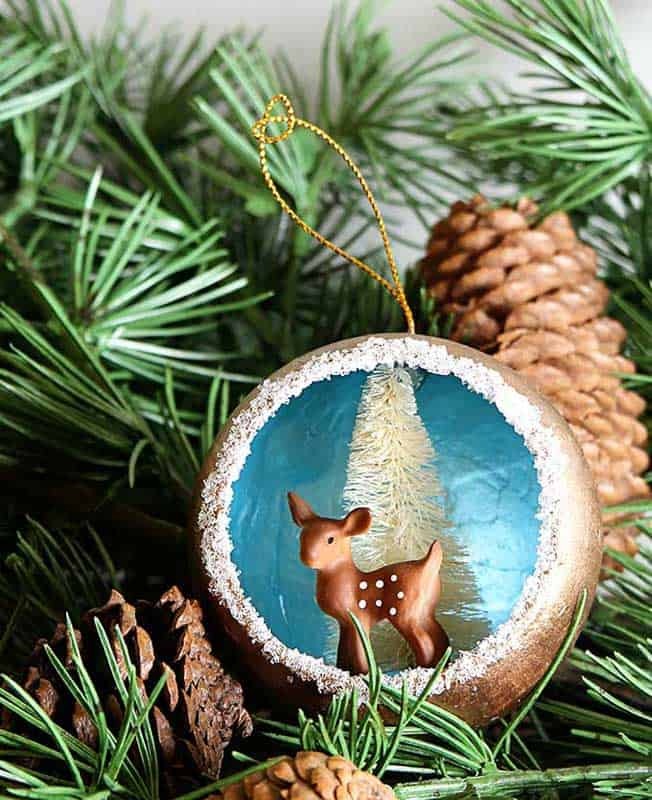 Tried one of these easy Christmas crafts? Great! Leave a comment on the pin…and bonus points? A PICTURE. That helps others decide whether a craft is a good one to try! It Takes A Village, People. AKA A Christmas Village Update.